III has hosted since December 1999 to date more than 470 participants from 68 nations. Below are just few. Want to learn what our former participants say about their experience with III? Then click on theirs Feedback page! Lili, a Chinese student, who spent last few years of her studies in France, came to Florida with several goals in mind - improve her English and gain new international experience, so she could successfully finish her Master's degree in International Project Management. All these goals were met, because after 6 months in Florida (and also few weeks on a personal trip to Canada), her English became very good and her interaction with people from different corners of the world a daily routine. So her professional dream of working on a global project is again closer to become reality. During 2017, IREX invited 93 fellows from 53 countries to the USA to participate in their 4-months Community Solutions Program (CSP). Among 4 participants of the CSP program hosted by Intelligentsia were Freda and Linda - environmental and water resources scientists from Malawi. Both Freda and Linda aimed at the C1-Advocacy project in order to learn about existing environmental policies in Florida, various factors influencing newly developed policies implementation and about fundraising and media interacting. The main objective of the CSP program is to provide these young professionals from developing countries with an intensive training, so the newly learned skills are brought back home and spread among the local community. Abder, another engineer from Telecom Lille we hosted in our program, came to Florida with a plan to improve his marketing and presentation skills as well as programming skills. Abder thus delivered several presentations related to critical environmental issues and staffed the Calusa Waterkeeper booth during events. On the programming note, he helped with developing a database and related websites, where voting records of members of the Florida House of Representatives are evaluated on key environmental bills. Grades were issued to reflect the degree to which the legislator voted "green" on important Florida issues and thanks to Abder's help, these are now well documented at this web. 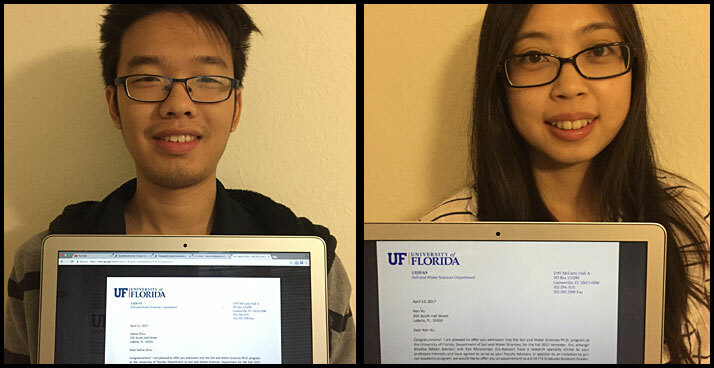 After spending six months at Intelligentsia International as post-Masters Degree OPT students, both Jiahua and Nan received university acceptance and assistantship offers for their PhD programs at multiple universities (University of Florida, University of South Florida and University of Maryland). Jiahua and Nan credit their OPT program at Intelligentsia in LaBelle as being instrumental in them qualifying for the assistantship offers as well as in allowing them time to pursue the university selection and application process. During their OPT program with Intelligentsia, they produced a range of technical reports and presented a poster at a professional conference. Their newly gained experience and their demonstration of professional fortitude proved to be essential in successfully competing for PhD acceptance and assistantship offers. Yuqi was the third member of our strong team (together with Yohan and Florine) that helped to move ahead considerably with the Port LaBelle Utility System project during the autumn of 2016. As a wastewater/stormwater treatment manager (and a fresh graduate from University of Florida), she was keen on getting her hands dirty in the wastewater plant. 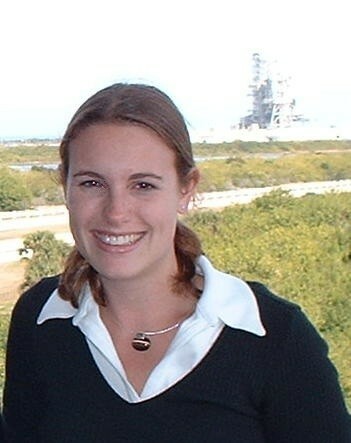 She took part in a number of field trips, helped with setting up a range of tests, conducted experiments with sensors, developed procedures for system leak detection, etc. Just after Yohan completed his program, Florine arrived and took over where the Port LaBelle Utility System project was left at. She reviewed GIS maps created from old utility design drawings, with the purpose of preparing the project bid package, so that contractors can estimate the cost of testing to find and repair leaks in the utility system. 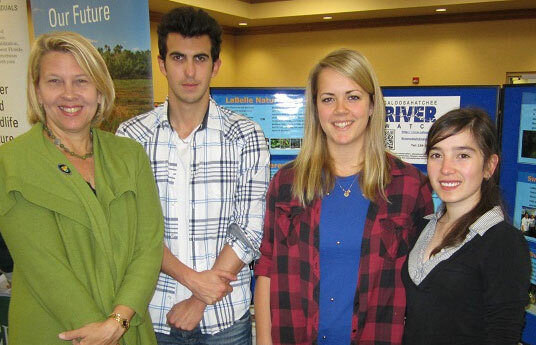 Florine also showed an interest in environmental education, so she helped with promoting CRCA/Riverwatch activities. Since the organization just secured a rather prestigious Waterkeeper's Alliance status and its voice got heard well, there was plenty to do and Florine coped with the tasks very well. Yohan's 4-months program was divided into two parts. At first he started in Gainesville, since he wanted to experience the atmosphere of the large US campus. He attended a range of events and was tabling at the UF campus, talking with university students about becoming active with various environmental/climate change related NGO's. 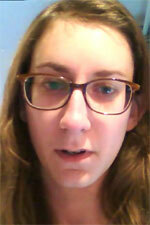 He also researched COY12 session topics to determine experts & grad students to attend the UNFCCC supported conference. After several weeks in Gainesville, Yohan transferred to LaBelle, where he helped with leak detection system GIS mapping and equipment data sheet assembly/linkage to GIS system for Port LaBelle Utility System. 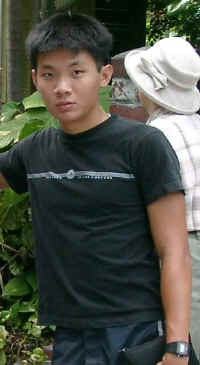 As an engineer, he had a chance to do also field trips, which seemed to be soemthing that he enjoyed a lot. 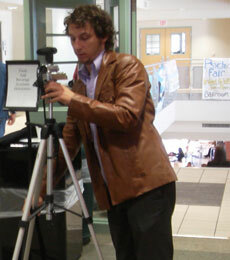 He mastered Google Earth and wrote various SOPs that will help the future participants of our program. 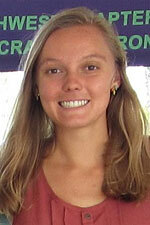 Mathilde, a 4-th year student from Ecole Universitaire de Management Clermont-Ferrand in France, earned an "excellent" evaluation from Intelligentsia after her exceptional accomplishments for the Caloosahatchee Riverwatch web page, Facebook page, newsletters, and other projects. Victor occasionally works in his family bio-farm in France, previously has done a research related to Artemisia and its treatment of malaria, so it was clear that he was going to be assigned to a technical agricultural project we run. His project became eventually two-fold: (1) researching issues related to citrus greening and designing an experiment to evaluate the effects of water management strategies on reducing damage caused to orange trees by the greening disease and (2) summarizing knowledge of sustainable sugarcane farming system and learning about systems analysis, which eventually led to his participation at the 9th Biennial Emergy Research Conference at the University of Florida in Gainesville. Justine is incredibly active young woman, always ready to arrange, organize and coordinate whatever tasks she is assigned. Anytime there was a need to get ready for a trip somewhere (whether it be a recreational afternoon or a technical conference), Justine quickly managed to get the 20+ other participants in line and things worked out just smoothly. Elodie is an engineer with great English and wide range of knowledge, so during her 4 months with us, she was assigned to several different projects and she did exceptionally well on all of them. Here are just few examples - she developed personal carbon footprint calculator for students traveling to Paris to the COY11/COP21 conferences and created an SOP how to use the rather complex tool, she populated databases with solar energy related US companies or she helped with creating designs for Intelligentsia's future campus in LaBelle. Nader was completing his industrial engineering classes at Insa Centre Val De Loire in France during 2015 and in order to wrap up his degree, he came to us to Florida for 4 months. He was primarily assigned to improving design of a solar shed, a project that would widen a range of his engineering skills, whether it would be designing, planning or simulating. He also researched solar energy efficiency issues and climate change related assignments, so French newspaper "la Nouvelle Republique" published an article about Nader, getting a fresh perspective on these important issues. Only rarely you meet someone with such a strong "can-do" attitude like Soufiane has. 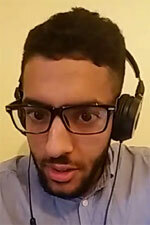 Originally from Morocco, he works on his engineering degree at Telecom Lille. Soufiane never looked for an excuse that something could not be done, instead he always came up with solutions (several, not just one) how something could be done. In the future, any project manager will be lucky to have this young man with endless string of new ideas in his team. Maxime, political science student at Sciences Po Lyon, was the perfect person to move ahead with technical and organizational aspects of the newly pursued climate change related project. During his almost 6 months with us, he wrote several proposals, searched for sponsors, approached lobbyists for political support in the climate change battle, organized meetings, etc. As a young curious man, he also traveled around Florida anytime he could and at the end of his program he became a guide for his parents and younger brothers during their 2 weeks exploration holidays in the USA. 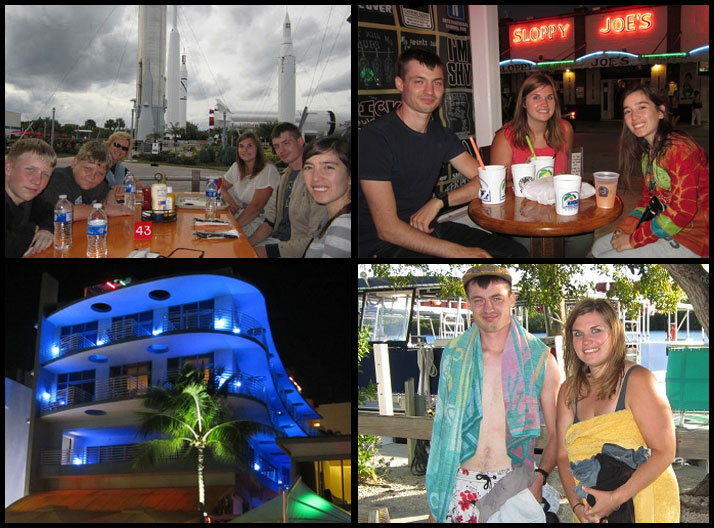 Leopoldine came to Florida from Agrocampus Ouest, a French university that traditionally sends us capable students, and Leopoldine shifted the already set high expectations even higher. She has a very good judgement, knowing what is important and what is not, she is very persistent and is able to stay focused. She was the engine that moved ahead with the project that led to our participation at COY11 and COP21 in Paris. Thanks to her marketing effort, more than 20 French students came to Florida during the summer 2015, when we were getting ready for our participation at the Paris conferences. Her productivity is simply exceptional, so we are sure that we will hear about her great achievements in the future. Never having done a simulation model before in his education, Ian developed a Autodesk CFD (computational fluid dynamics) model of hurricane wind loads on roof-mounted solar panels. The objective of his project was to determine if the mounting brackets would sustain the forces resulting from different panel orientations relative to the roof crest...or if they would fly off like an airplane wing. His findings were very interesting...pointing out some important solar panel installation errors. We congratulate Ian on a task well done. Ian's accomplishments help us to move ahead with a range of related solar projects, not just the one he analyzed at the Hall street house (a residence where several of our program participants reside). In addition, his project project report is a fine example that will be used by Intelligentsia is showing applicants and arriving students what is expected in their reports. Erica is an undergraduate from University of California in Berkeley, a campus considered to to be the most "activist" in the USA. And Erica held up her university's reputation. Although she spent only a short time (2 months) with us, she accomplished a lot. 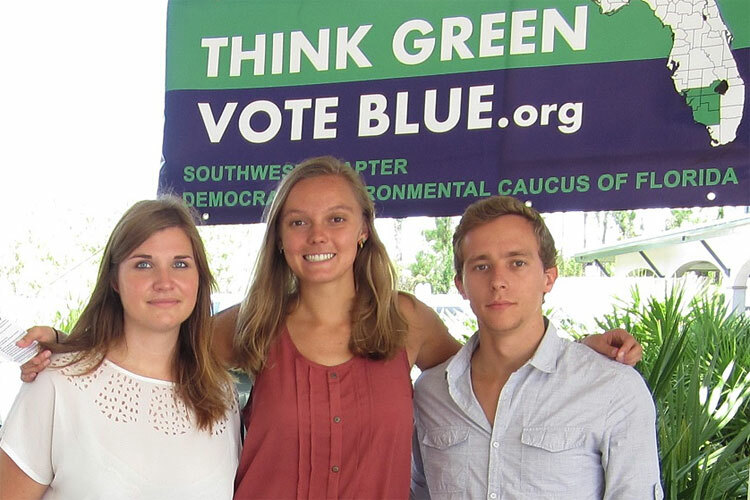 Erica started organizing the Southwest Chapter of the Democratic Environmental Caucus of Southwest Florida - an advocacy organization seeking to change attitudes of Democratic candidates to better address environmental issues and seek meaningful progress on global challenges. She also worked to encourage Republicans to create a similar caucus within their party. Erica organized information tables at Florida Gulf Coast University (FGCU) where she met and spoke with hundreds of students, encouraging them to become active in the important issues of their generation. 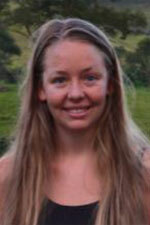 Erica also served as the American mentor and cultural hostess to the Intelligentsia students from other nations. Yannick came from the Grenoble Institute of Technology, a French university that traditionally sends us well motivated and very capable students. Yannick was no exception to these high standards, moving ahead with his assigned projects at a fast pace. 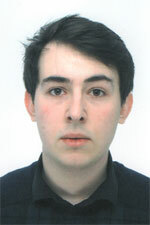 Yannick studies energy systems with a focus on economic, societal and environmental aspects of energy markets. In our program he therefore focused on designing a new solar system for a house, doing a feasibility study of such potential solar system installation and an economic benefits analysis of an already installed solar system. In the process he also created high quality engineering drawings of the existing solar panel, structural, and electrical systems. His astute observations and steady focus made very clear that Yannick is a very talented and skilled engineer. 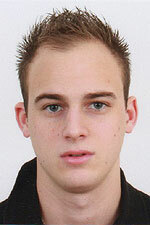 It's a safe bet that soon in his career Yannick will be leading a top-notch technical team. 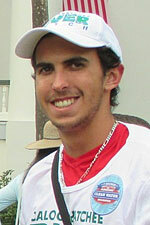 Eduardo studies at Federal University of Sao Carlos in Sao Paulo. He also spent his 2013-2014 academic year in the USA at Rochester Institute of Technology, as a part of the Brazil Science Mobility Program. When he came for the summer 2014 to us for his 3-months long practical experience program, he very quickly accomplished his assigned tasks - creating a GIS database for the Port LaBelle Utility System (PLUS) and researching and developing methodologies for improving financial and organizational aspects of PLUS management. But his intelligence, clarity of thought, and problem solving skills made him the "go-to" engineer for solving the technical problems encountered by other students in their project. He was actually more of a supervisory assistant to Dr. Capece than a student. His daily activities included field tasks (e.g. collecting location data on meters, valves, and hydrants using Trimble GPS; processing these data; creating KMZ files in ArcMap for viewing on Google Earth) as well as creative office tasks (searching loan refinancing options, developing an E-billing system, writing grant proposals, etc.). After completing our program, Eduardo headed for a few weeks road trip in the western USA, concluding a very valuable year for his future professional career. In his personal time Eduardo would go fishing, almost every day. He never failed to bring home dinner from the Caloosahatchee River. Cedrine spent 3 months in our program, but the files she left for the future program participants would almost suggest that she spent double that time in our office - her productivity far exceeded that of the typical participant. 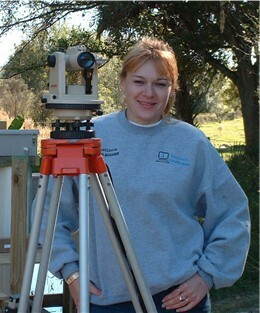 A review of her program achievements is impressive, including creating a Business Plan for local water utility (Port LaBelle Utility System - PLUS), determining the ground water flow direction from the PLUS waste-water treatment plant disposal field, proposing new well locations to the existing ground water quality monitoring program and compiling needed files for submitting a renewed Consumptive Use Permit (CUP) for PLUS. Cedrine also conducted several field trips with PLUS technicians to see first hand e.g. how pipes leaks are detected, how taken water samples are analyzed in a lab or how the water treatment plan is operated on a daily basis. The program for Cedrine had an unusually wide aim, but it was well deserved thank to her steady focus. The business plan she helped create for the water utility was by far the best submitted by any Hendry County administrative office. This quality of this report would not have been achieved without the diligence and talents of Cedrine. Well done! 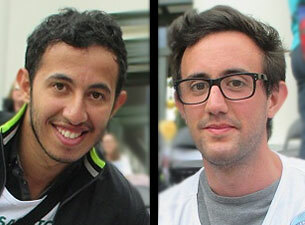 It would be wrong to mention only one of these two young men on this website, because Abdelaziz & Mehdi were simply a team. And what a good team! Being communication engineers from Telecom Lille, they concentrated on developing and debugging a new marketing platform - Mehdi focused mainly on the programming part, Abdelaziz on the business aspects. And yes, both of them kept coming up with new improvement ideas every day. 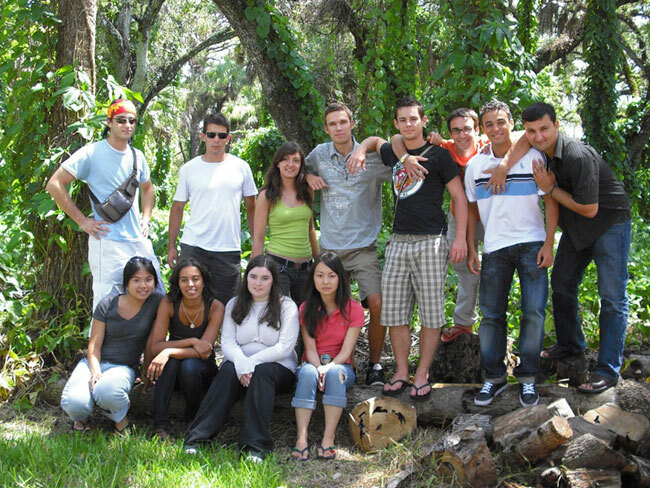 When two friends or classmates come to our program from the same campus, they sometimes develop "cabin fever", because of a tendency for existing friends to keep their distance from the others in the larger group. Thus, at first we were reluctant to accept them both. However, we did and they proved that our worries were unfounded. They demonstrated that multiple students coming together from the same campus can do well in our program. "Lille Buddies" - well done! 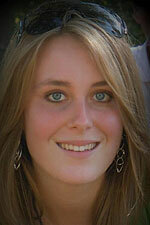 Maria is from Norway, so she increased the number of nations, where from students came to us, to 65. 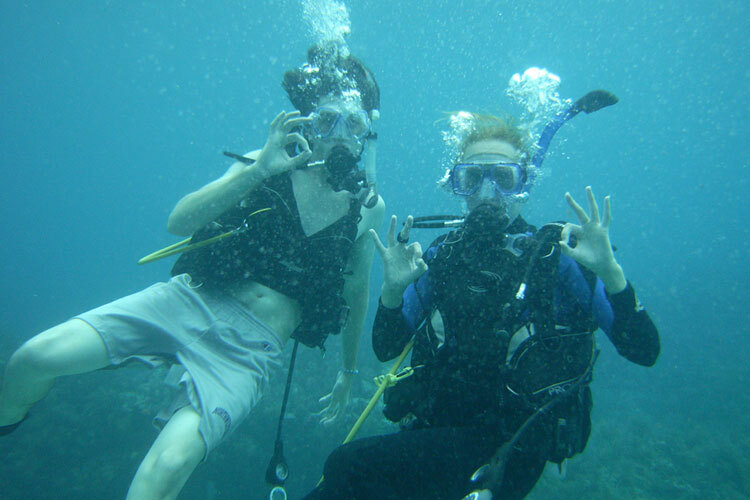 Back home Maria studied biology (with focus on environmental issues) in Bergen and as a part of her studies she also took part in a student exchange program with the University of Hawaii in Honolulu. After she completed her Bachelor's degree, she was, in her words, "looking for a challenging practical program, related to environmental studies in order to gain valuable practical experience" and that's why she came to us. We are confident that during her 4 months in our program she had plenty of opportunities to immerse into various environmental issues. Her activities were closely related to the local citizen-action water/environment projects conducted together with the CRCA/Riverwatch. Maria helped with creating newsboxes for a website, developed newsletters, interacted with other environmental groups, organized various public meetings, educated K-12 students during the Earth Week activities, wrote articles for local newspaper and many more other tasks. 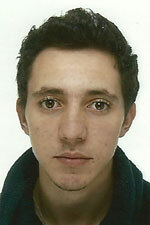 Upon arrival, Rodolphe was thinking about widening his skills portfolio by getting involved in our Emergy project. However, given that his planned stay with us was relatively short, he concluded that switching to the AC/Heat project was a better choice for him. And it was a great choice, because his skills portfolio widened dramatically. Actually, the legacy of Rodolphe's project achievement is very clearly visible to anyone passing by our dorm house at the Hall street. 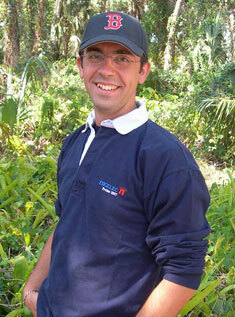 It was Rodolphe, who helped big time with completing the solar panel installation project there. The list of his achieved tasks is impressive - investigating legal constrains of such a project, securing an installation permit, calculating the most effective orientation of the solar panels, considering installation options from the equipment perspectives, completing various forms for securing a needed grant, etc. Rodolphe, thanks for helping to make solar energy possible on the III's student dorm in LaBelle! 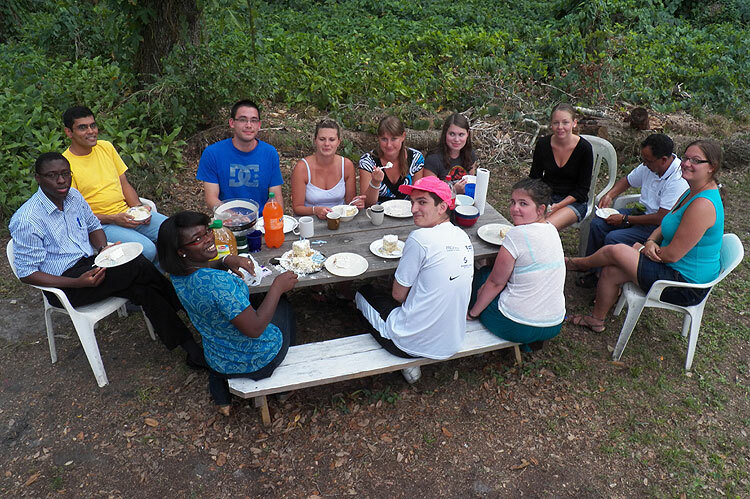 During the summer 2013 we hosted another extraordinary student - Alex, a geographer from England (University of Southampton). 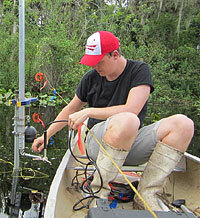 He spent days in the field, measuring water velocities in the old oxbows of the Caloosahatchee River. These field days often had an early start (7AM), but even that approach could not completely avoid the humid heat of Florida's summer. Regardless, Alex never complained about the climatic conditions and like a real geographer actually enjoyed the sometimes tiring field trips. We almost hear him saying "Oh well, it's Florida, so it would be really strange if it was not this damn hot". 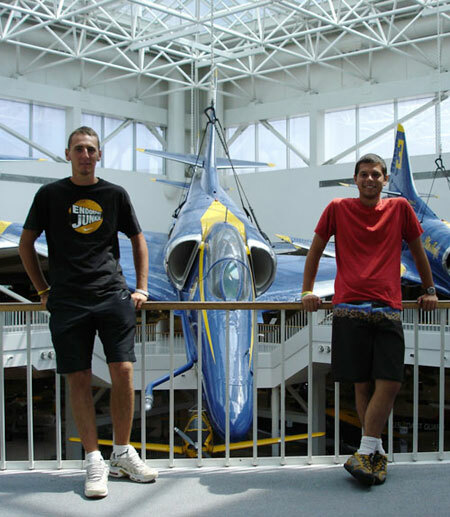 Alex' tasks were meant as a follow-up to a 2005 physical restoration project and hydrodynamics simulations by Dr. Capece. The restoration project is ongoing, so other tough students, not afraid of Florida's heat, are welcome to join us. Coming from a family of UN officials, Peter is a young man with a truly global experience and an unusually well-formed point of view on a wide range of issues. He had attended the prestigious school in Switzerland, where the current infamous leader of North Korea studied some time ago. 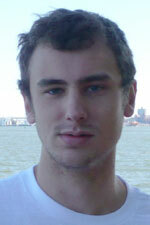 Peter came to Intelligentsia from the University in Illinois, where he was working on a degree in economics. He had already held jobs in China, so was familiar with an office atmosphere. He helped organize and process financial records and non-profit organization tax returns. Not all students participating in our program are as hard-working or positive as Peter - he never hesitated to invest extra hours to study new topics or to catch up on tasks that were completely new to him. Being also very well skilled from an English language perspective, it was hard to see Peter as Chinese - he seemed almost like an American college student. Peter is a true example of global citizenship. 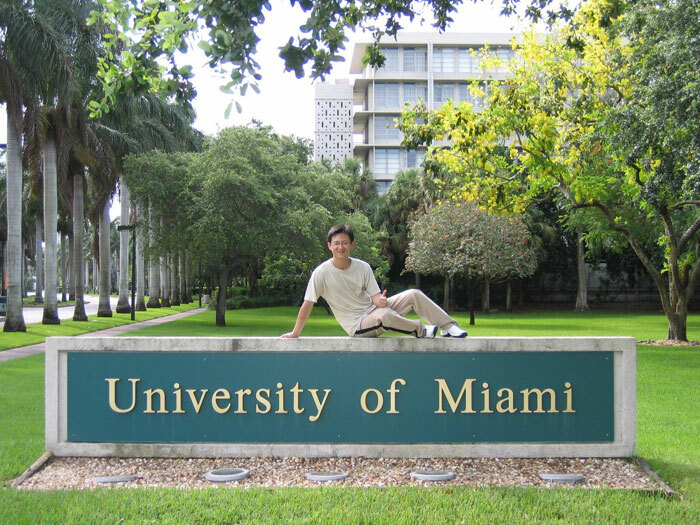 An exchange semester at one of universities in Thailand was for Timo a good preparation for the hot and humid climate of Florida. 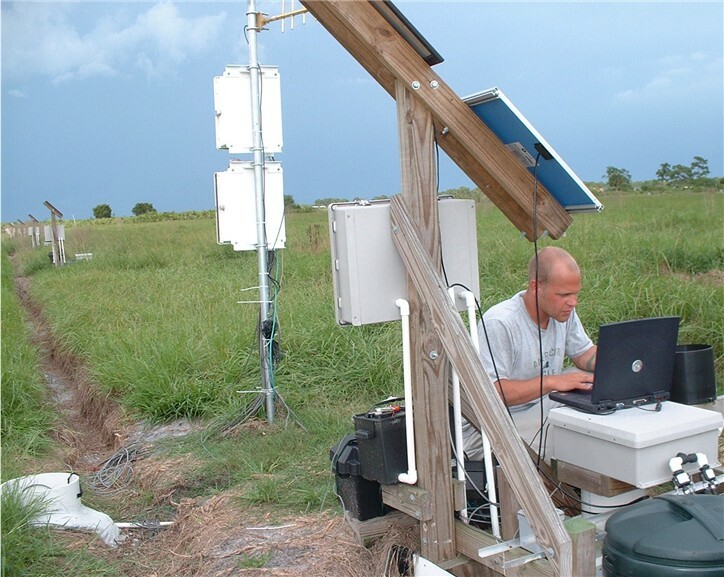 During his 6 months with us, he was not sweating only because of the Florida's climate, but mostly because of his very serious focus on Emergy (embodied energy) tasks - a technical area that is fairly new in the world of science and any progress ahead requires a steady focus. Timo helped with critical revision of various Emergy reports we submitted to the US Department of Energy and made a big and firm step in securing a prestigious and challenging job in his professional future. 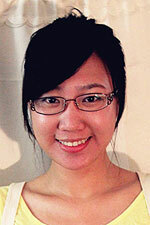 After completing her Bachelor degree in Agricultural resources and environment in Fujian University in China, Jing moved to Dalhousie University in Canada, where she completed her Masters in Economics. Immediately after completing her Master thesis on the biofuels and food trade off in Canada, she came to our program, where she applied her theoretical skills on a project that was a perfect match for her background - biofuels and economical trade off in Florida. Jing ranked in Top 5% of all our participants and it is no surprise that after completing her program with us, she was offered a job in Canada, where she keeps dealing with various implication of biofuels production. Among several assignments that Jean handled during his five-month program at Intelligentsia was his coordination of the 2012/13 American Water Resources Association Conference focused on the nexus of water and energy. The technical sessions were followed by posters presentations and panel discussion with national level scientist from Congressional Research Service, US Environmental Protection Agency, US Government Accountability Office and various top class US universities. Joining 70 professionals were 80 students, including those from our office. Jean coordinated many aspects of the conference, including finding all the national experts who became the conference speakers. These national experts commented that the conference was one of the best they ever attended on the subject...in the nation! That's almost entirely the result of Jean's outstanding efforts. Congratulations, Jean...and thank you! Here and there we get an exceptional student who needs a minimum supervision and delivers maximum results. Vincent is definitely one of the bright students from this category. As an architect, his main project assignment was clear from the very beginning - help us to design a proposed Hendry County Sustainable Biofuels Research Center. Vincent visited all the 10 proposed sites, took there few photos and quick sketches and then sat on his computer for hours and relentlessly and with full focus kept creating awesome potential architectural designs. Vincent is a man of few words, but great achievements. Out of the 4 projects we offered her to get involved at, she grabbed the one related to Hendry County Sustainable Biofuels Research Center planning and it was a great choice. Pauline helped to evaluate 10 potential sites for the planned Center based on various selection criteria and delivered a sustainable report about her findings. She also closely cooperated with other program participants on the task and this small team became our most productive unit during the summer 2012. Pauline also loves traveling, so she never missed an opportunity for a trip to whatever corner of Florida. 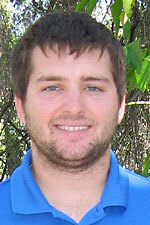 Prior completing his civil engineering degree at Polytechnique Montreal, Nicolas spent his summer with us in south Florida. His main project related to a wrap up of the Caloosahatchee river oxbows measurements taken by other students during previous years. Nicolas was very productive, completing a report with 150+ pages in less than 3 months. This report was then used as a literature source for completing a Master's degree thesis of another our former participant. So when completing Nicolas' evaluation forms, we happily used terms like adaptable, with "can-do" attitude, well organized, resourceful, creative, hardworking. Simply put, he did very well here! Beatrice decided to take a gap year from her studies in Uppsala and did it in a "big time" way - few months in Tanzania (teaching biology), few months in Brazil (computer modeling of watershed issues) and then few months with us in Florida (planning water utilities). With the director of Port LaBelle Utility (PLUS) being on a few months leave, it sometimes almost seemed that Beatrice was responsible for running the utility planning project on her own. She helped with improving PLUS services by selecting an appropriate AMR (Automatic Meter Reading) system, setting up an antenna to pulls in real-time readings of how much water is being pumped to the utility system and how much of it is being consumed. This in long term is expected to improve the overall system efficiency and reliability. Beatrice also helpeed with developing manuals for running a water treatment plant and waste water treatment plant. Again, an accomplishment that will prove to be a very much needed outcome in the future. 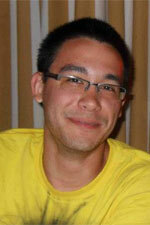 Andrew came to us for summer 2012 from the California State University in Sacramento. A well-motivated "Yankee" always raises spirits in our group and this is exactly what Andrew did here. During his stay Andrew divided his time among several projects - he mapped Port LaBelle Utilities System infrastructure (pipes, valves, etc.) by using Google Earth and he also helped other team members in selecting an appropriate site for planned Hendry County Sustainable Biofuels Research Center. Andrew also found himself in the middle of organizing a few LaBelle Nature Park cleanup events, so by the time of his departure it was obvious that he did a heck of job here. And since his departure, a summer never passes without Andrew sending us postcards of his travels and activities across the USA. 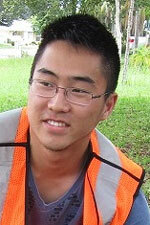 Xiangwan, a recent graduate of University of Michigan, helped with the free toilet replacement program sponsored by Port LaBelle Utility System (PLUS) and partially funded from the South Florida Water Management District's "Water Savings Incentive Program". Xiangwan coordinated water use and conservations surveys, prepared mailings to interested customers, organized inspections forms, checked orders for accuracy, generated invoices, supported creation of online databases, communicated with contractors, summarized all needed documents, managed various financial issues, prepared meeting minutes, delivered several progress and even a final report... Pretty long list of accomplishments after being in the program only 2.5 months, isn't it? Well done! The list of energy issues requiring a solution has multiplied over the time and it now seems that many are looking to biofuels as the solution. Unfortuntelly, many policies are being developed and implemented without the support of sounds scientific evidence. Intelligentsia International is a co-investigator of a sustainable biofuels farming project funded by the U.S. Department of Energy and our summer 2011 intern Sarah helped us considerably with research of life cycle assessments (LCA) of sugarcane as a biomass feedstock for ethanol production. In LCA are analyzed all inputs and output in order to determine the overall benefit or detriment of a proposed system. As the use of LCA for assessing biofuel production systems is a relatively new concept and much inconsistency still exists in the methodology, Sarah did during her program thorough literature review and investigated the key issues leading to variability in sugarcane LCA. In her reports she focused on investigation of the causes of this variability, found the areas of greatest concern and suggested solutions in order to remove certain obstacles that must be overcome in developing accurate sustainability assessments. Jeremie led a group of other students and performed surveys of all 38 oxbows (old river loops) on the Caloosahatchee River. This is the most extensive survey of the oxbows ever performed, exceeding the government project in 1978 and Riverwatch projects in 1995, 2001 and 2005. Together, this wealth of data allows professionals the ability to determine which oxbows seem to most deserve the attention of a full-scale restoration effort. 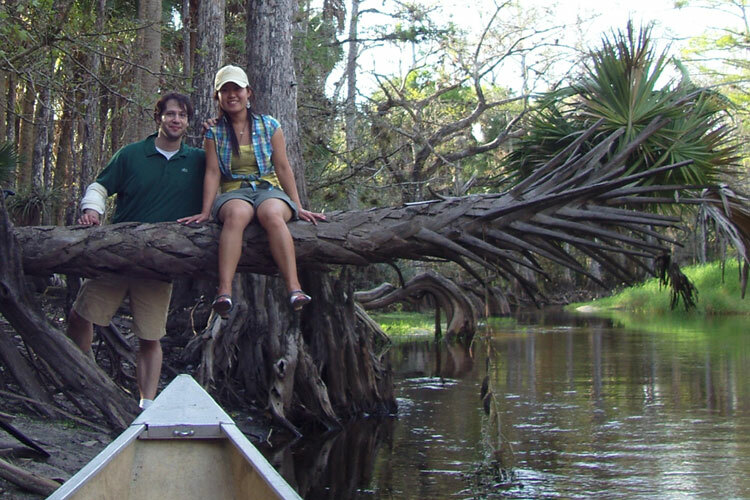 Jeremie partnered with Chloe Delhomme who worked on the oxbows project back in 2008 and is now a graduate student at Univ of So Florida and is doing her Master's Degree project on the oxbows. Jeremie also investigated criteria and algorithms for evaluating the success of oxbow restorations to help guide future policy. The US Army Corps of Engineers is planning to restore 8 oxbows and Jeremie's work will help guide these efforts to maximum environmental benefit. While Brent was in our program, he liked getting involved with various projects and kept saying "Thank You" every time he was taken to a meeting. He also appreciated the ability to work and live with students from different nations, presented himself as a very dutiful person that stood as an example for all the other program participants, ... Well, there is simply not enough space here to list all the compliments Brent deserves to hear for his stay in our program during summer 2011. "Focus your internship planning on making the best of your time and making a positive impact. I found that this attitude helped me stay motivated for my work and also provided an example for interns around me. Supervisors notice interns who influence others in the office. I believe that SPEA students can be great leaders and examples for students all over the country." 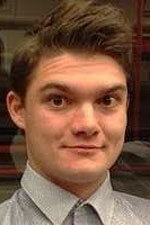 is what Brent says about his experience, as a featured intern of Indiana University/SPEA. We can't agree more, Brent simply proved that he will do extremely well in his professional career. Good luck with it! From time to time we have an opportunity to host very talented and also extremely hard-working student � and Cora is exactly this type of person. 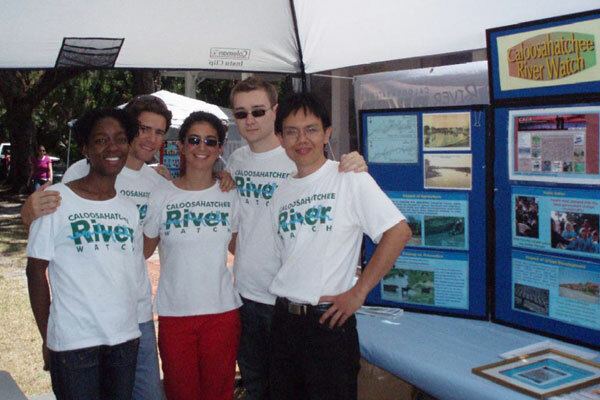 As soon as she arrived to our program, she started to handle a wide portfolio of tasks, ranging from academic management of graduate students honor society AEL to environmental management of CRCA-Riverwatch. Cora excelled in all her assigned tasks and soon earned herself a big respect not only from us, but also from local Rotary club of LaBelle. 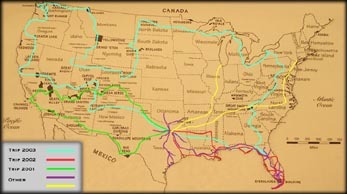 With time there was developed a concept of �Rotary Rail & Water Tour� - an unique 6-weeks tour across the USA, during which Cora visited many Rotary clubs and Rotary families from Florida to California in order to promote Rotary International's clean water humanitarian projects for developing countries. The tour was not only a great adventure for Cora, it was also a successful effort to introduce the clean water issues into a wide audience of people, who have the power, determination and means to help with addressing them. French university ESIGELEC sends us few engineering students every year and Baptiste was clearly the best one among them so far. 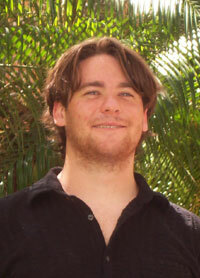 While of somehow slower start in the program caused by the need to switch his working language from French to English, Baptiste eventually overcame this obstacle and found himself among the best summer 2010 participants. Tasks like debugging scripts, improving databases, developing new automated software tools? You name it and be sure that Baptiste was there, ready to move ahead with them. He helped us to get some of his not fully finished products working even if it took him time after returning back home to France. Baptiste simply takes great pride in his work. Charlotte came with an interest in tasks related to Port LaBelle Utilities (PLUS) management and during her 3 months in our program she achieved more than many others achieve in 3 years. At first she helped with finalizing the PLUS' new water use permit from the SFWMD to approve PLUS' need to withdraw more water for its customers than in previous years. The permit was successfully approved, a great achievement after 2 years of engineering effort. Charlotte then moved to putting together a report that compared actual PLUS observation wells withdrawal with withdrawals modeled in the water use permit application, something that will prove to be very useful in the coming future, when the approved permit revisions will be requested. And as the top highlight of her effort, Charlotte put together an application for $300,000 grant that is to assist with repairs of PLUS's failing sewer pipes. The application got approved by SFWMD and will be funded in the coming fiscal year. Charlotte, bravo! 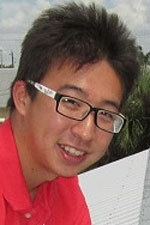 Jingchao, recent Masters graduate in chemical engineering at University of Pennsylvania, spent in our program summer 2010. He was among the first participants in our organization, who tried to research general concepts of emergy and its applications in environment, energy and ecology. Emergy (Energy Memory or Embodied Energy) is basically a record of previously used-up available energy that is a property of the smaller amount of available energy in the transformed product. At first, Jingchao did detailed background study from various sources and then he moved to summarizing the knowledge into comprehensive reports and presentation that are understandable to our current and future participants. 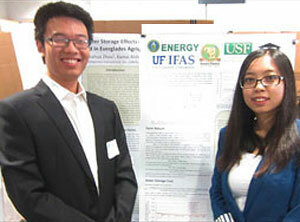 Jingchao's case studies related to sugarcane bio-ethanol production, something that south Florida (and not only this region) is highly interested at. 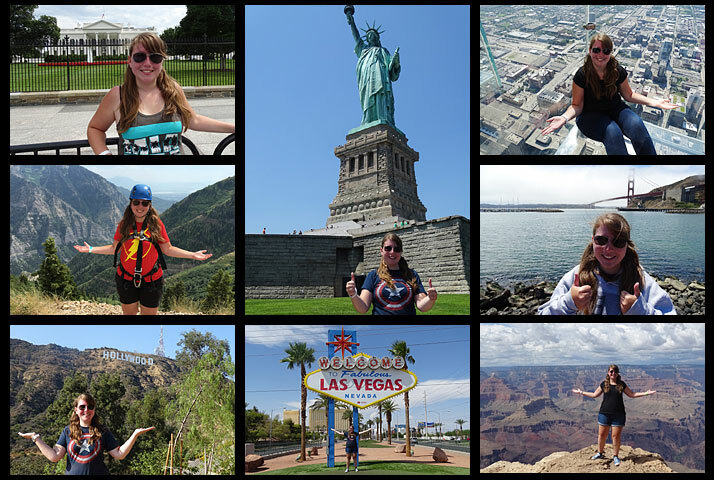 Although only 2 months in our program in Florida, Ashley went through a wide range of hands-on experiences. As an English native speaker, she for example revised several grant proposals that other our students helped to develop or attended CRCA meetings on regular basis and prepared meeting minutes and other documentation. Among Ashley's main accomplishments is detailed preparation of plans for the 20th Annual Annual Southwest Florida Water Resources Conference. The conference will look back upon the past 20 years of water resources management challenges and forward to the next 20 years. The perspective of senior professionals will serve as the foundation for a conference program designed to help current and young professionals prepare themselves to meet the challenges of water-related careers in the coming decades. Hopefully, there are many more young professionals focused on the future challenges just as much as is Ashley. Mechatronics is modern synergistic combination of various engineering (e.g. electronic engineering, computer engineering, etc.) approaches, aiming at theirs synergistic integration, in order to improve and optimize functionality and manufacture of a product. Frederic, as a student of mechatronics, decided to improve his skills even one step further, when adding into his portfolio also practical skills and experience in projects administration and finance management. He is exactly the type of a student, who knows what he wants to do in his professional future and methodically moves towards this his target. After getting familiar with till then him completely unknown Quickbooks (finance management software), Frederic started to oversee and manage finance related tasks to various our partner organizations. He developed several presentations and integrated manual that will well serve to our future participants. 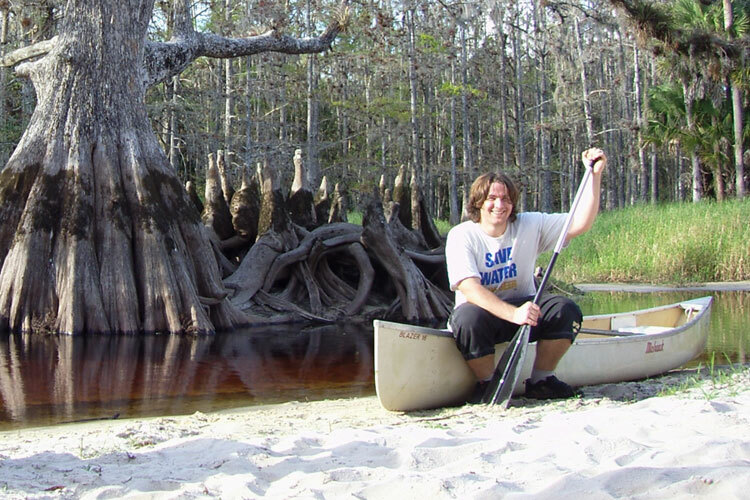 David, a student from Carnegie Mellon University in Pittsburgh, spent his summer 2009 fully focused on the Caloosahatchee River oxbows restoration project. 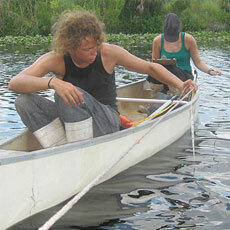 Objective of the project is to replenish the river area with the wildlife that used to inhabit the oxbows in the past. 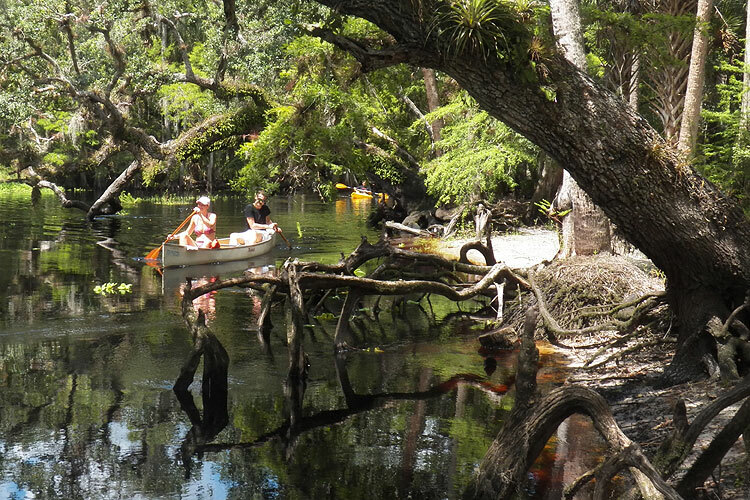 Charlotte Harbor National Estuary Program search professional services for selective Caloosahatchee oxbows in wildlife surveying, dredging and landscaping and David was leading III�s effort to contribute to this restoration work. He developed plans for scope of work, prepared drawings for oxbows dredging, acquired GIS maps and data from different websites, learned how to submit appropriate formal paperwork and many other tasks. David measured up very well in the initial phase of this long-term complex project and once all the initial preparation work is finished, ten of the selected oxbows will be actually restored. Yiqi does her M.Sc. in accounting at St. John�s University currently. Prior starting this degree, she already obtained B.A. 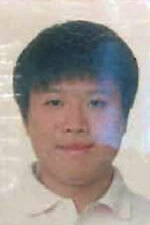 in journalism at Lan Zhou University and also worked as a assistant project manager in Beijing. This unique combination of her education and experience, high focus on assigned tasks, serious professional attitude and unusual punctuality make Yiqi a candidate that any HR manager can wish for. 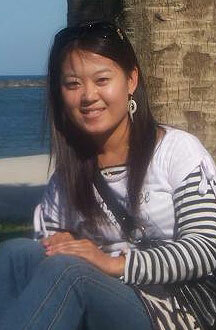 During her summer 2009 stay at III, Yiqi practiced her skills in financial accounting and management of our several pro-profit and non-profit partner organizations and also helped with completing and submitting various federal and local taxation forms. We are sure that our next program participant, who will want to get a hands-on experience on some finance related tasks, will be very thankful to Yiqi, because she developed several simplified and well functioning procedures for easier management of these �chores�. Shola�s assignments in III's program could be divided into 2 different, though very closely related parts � (1) understanding telemetry systems hardware/software and (2) developing online databases systems, related websites and intelligent automated tools. After getting familiar with general concept of telemetry and online databases systems, learning to analyze possible input/output data problems and understanding main methods for solving these various technical problems, Shola became very valuable asset to our technical projects. He became the person, who could connect in logical way various faces of very complex assignments and who never gave up when things became difficult. Actually, the more difficult technical problem appeared, the better Shola�s focus on resolving it, something rather unusual at this level of one�s professional career development. After finishing with his program, Shola went back home to Nigeria to complete his degree and we wish him many very difficult technical projects there, because we know that he will solve them. Combination of computer skills and sustainable development is the future professional aim of another French engineer we hosted during 2008. Laurence wasn’t just another programmer who scripts, scripts and scripts, she was a person who could see the “big picture” of how technology and environment need to work together to assure sustainable development. 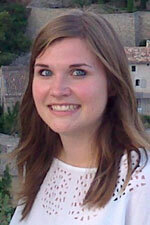 Laurence created several databases, fixed dozens of scripts and helped her fellow participants’ out of number times. In addition to her high class computer skills, she was simply always ready to help, when someone couldn’t find some scripting mistake or when a database was experiencing some unexpected error. 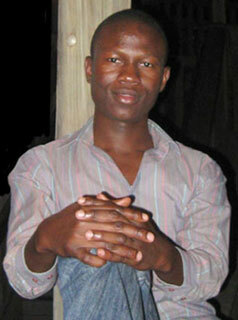 Prior finishing with his Masters degree at Indiana University Bloomington, Muskie Fellow Vatansho spent 3 months during summer 2008 in our office. Participation in the program was supposed to enhance his knowledge in advocacy, politics, organizing and management of natural resources and we are confident that Vatansho did extraordinary well in all these fields. Among his many accomplishments stands out a launch of TajikWater.net, a website that serves as a clearinghouse for water management issues related information in Central Asia and more specifically in Tajikistan. Upon completion of his degree, Vatansho went back home to Tajikistan and was immediately hired by Aga Khan Network group, where he continues to improve management of natural and human resources in his impoverished nation. 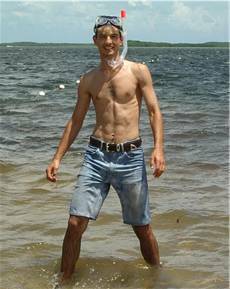 Arnaud was one of the members of our �summer 2008 water sampler team�. The team had several members specialized in very specific engineering fields, but Arnaud, as a general engineering student, had an advantage, because he could do it all. He got involved in rather narrow engineering tasks related to the automated water sampler SDS/III has been developing, just as much as to general engineering assignments. To give you an idea � Arnaud designed new acid dosing system for preserving samples in a remote sampling location, developed several SOPs on factors affecting sampler�s battery lifetime, improved shaft encoders efficiency, designed incorporation of power supply charger regulator, splitter system or temperature sensors into the whole water sampler or helped with programming field gate arrays and specific integrated circuits in electronic design automations. Soon after finishing in our program, Arnaud was hired by a French organization and got a professional job in central Africa. We wish him good luck there! As a scientist with concern over laboratory tasks, Chloe expressed her interest to get involved in experiments related to chlorine removal from Port LaBelle tap drinking water. Number of water quality and related tests concluded in findings that can be now used throughout the USA. During next stage of her program, Chloe reviewed various reports components related to utilities planning in Hendry County. Her expertise as an environmentalist brought new perspectives into what's usually just an engineering task. Chloe is also a person that any team leader would want to have in a group - always with positive attitude and always ready to solve problems with maximal focus. We were lucky to host her in our group and are happy that we could provide her with experiences that widen her future career chances. Having finished his Masters in engineering and currently pursuing additional education in business, Steve decided to spend his Florida program working on an energy and global warming project. Technical analysis of energy options requires the ability to compare carbon taxation rates in various chemical and economic terms. Steve developed a energy conversions technical report and translated it to a working webpage, databases and software tools useful in environment and business solutions. Steve understood that there are three key factors for the successful future of human population - technology, business and environment. These can and must be managed in balance, not disharmony. Steve got this point and we are confident that a bright future awaits him. Mihee came to Florida for her 6-month program from one of the most prestigious universities in South Korea – Busan Maritime University. Seeking practical experience in environmental engineering related to water management to obtain her MSc. 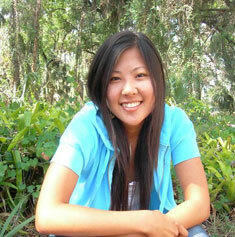 degree, Mihee had enough opportunities to put her hands on practical tasks in Florida. 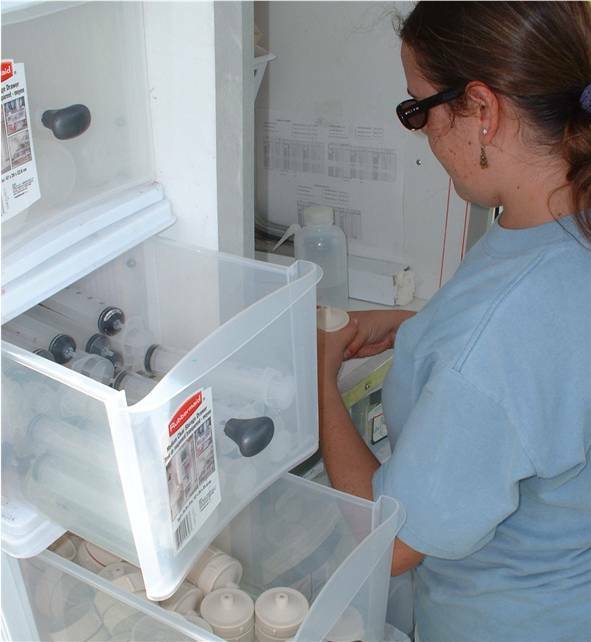 At first she handled wide range of tasks related to water samples within environmental Pelaez project (BMP improvements in Lake Okeechobee basin area). In next stage of the program her focus moved towards experiments on chlorine removal from Port LaBelle tap water. The experiment resulting report can be now widely used by utilities throughout the USA as a public information item regarding how to effectively remove residual chlorine from drinking water to improve taste and thus save consumers money unnecessarily spent on bottled water. Mihee also developed related educational flyers that were then used during Earth Day presentations to hundreds of visitors. 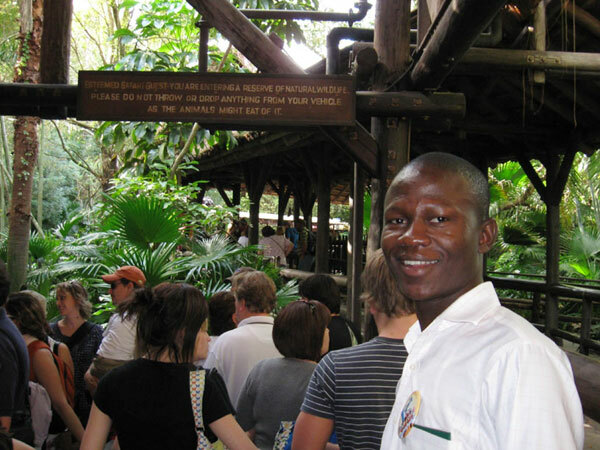 Just after finishing with his Work & Travel program in Alaska, Monyo decided to do some rapid changes in his life when coming to Florida – not only climate-wise, but mostly when it comes to higher level aims in his professional career. 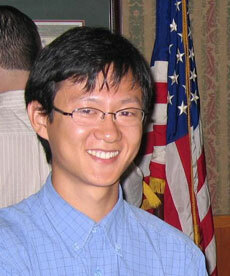 At first, Monyo was seeking an experience with engineering technologies. He was therefore assigned to handle various engineering elements of Pelaez ranch project. His assignments included data collection with technical tools, field equipment maintenance and used telemetry system improvements. Practical experience with environmental, mechanical and electronic engineering can be thus added to his CV after measuring very well in this area. 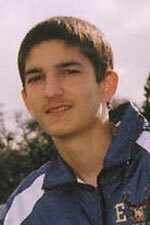 Monyo was also seeking experience in management skills. Not only he actively led his little team of other students during Pelaez project, but he was also assigned to wide range of office management related duties, including fiscal management and databases management. 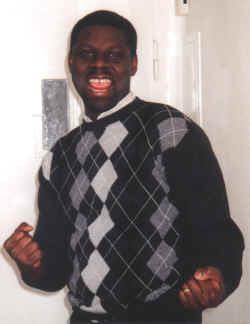 Given Monyo’s high determination, he was granted his program extension from initial 3 months to 6 months. 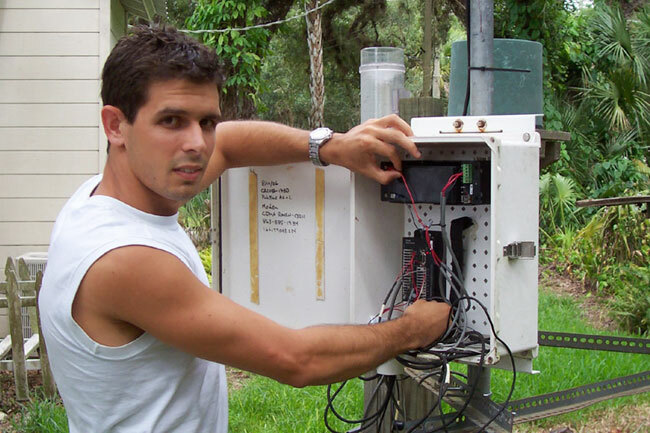 Pursuing Electrical and Control Systems Engineering Masters degree in Canada, Faical quickly found himself in Florida as a fish in water, when working on designing and improving security system within LaBelle Nature Park. This system further improvements needed to be pursued by skilled and curious person and Faical fitted perfectly into that role. Not only he almost completely redesigned the main systems to be used, but he also helped with all materials searches and purchases, installations of the system in the field, tests, troubleshoots and PC control center set ups. Faical also showed high interest in development work issues, thus helped with ongoing tasks related to long-term III mission – improving limited water and sanitation resources in developing countries. Faical made huge difference in preparing materials for 2007 Rotary International 98th Annual Convention in Salt Lake City. We are proud to read these Laurent’s words, knowing that we helped him to realize his potentials, shaped his visions and provided him with intensive experience that will boost his future professional career options. We just wish for more students like Laurent. David, being already through several other traditional internships previously, was still seeking that “something special” that he wanted to add to his portfolio, prior becoming an independent engineer. Well, he found that in SDS/III. He experienced roles of both – small scale engineering consulting firm as well as large scale governmental agencies and theirs technical and administrative interactions. Being already more experienced than an average college student, David became quickly a team-leader of the group assigned to Pelaez ranch project. He mastered it all – collecting field samples, preparing them in lab, writing SOPs for improving used procedures, maintaining field equipment, troubleshooting telemetry bugs, helping others whenever needed, communicating with project managers…you name it. His positive and “can-do, no matter what” attitude made him an example for all our other program participants. 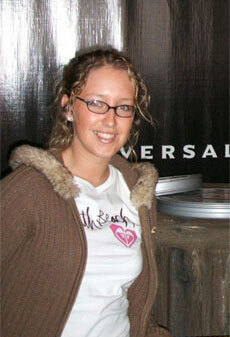 Seeking her very first hands-on professional experience, Laura came to Florida with very high expectations and plans. Just as majority of UK students we have hosted so far, Laura was interested in tasks related to grants opportunities and articulating environmental issues to public. Her program got with time even wider, because Laura was eager to take every opportunity to learn, discovering new horizons almost every day. 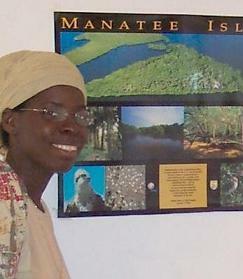 Just to name few - Laura participated on content development and messages delivering to wide public audience through Caloosahatchee News website, supported in high-class manner grants activities of CRCA-Riverwatch environmental group, helped to develop further concepts and plans for LaBelle Nature Park Environmental and Education Center, actively supported non-profit activities run by LaBelle Rotary Club. During the days of her program coming to end, she was accepted to a prestigious position with non-profit organization in UK and moved ahead with her professional goals. 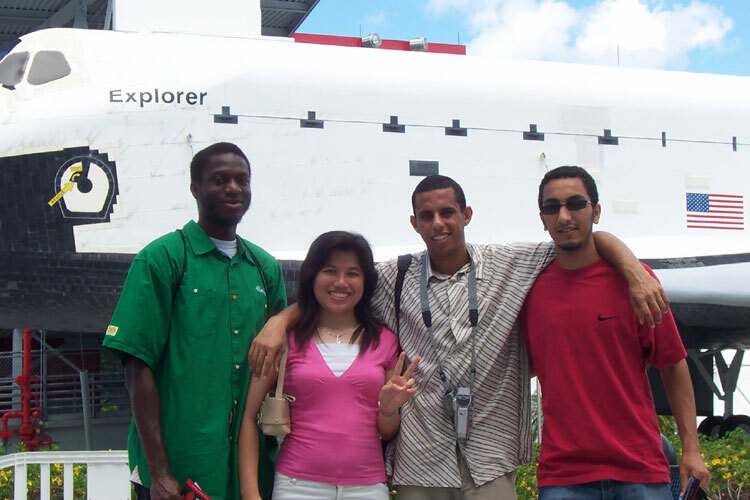 Being a student in prestigious Purdue University, Luke came to Florida with desire to improve his knowledge and skills in electronic engineering. At first, he had to master all the engineering equipment and methodological procedures used in Pelaez ranch BMP project, needed for further, more specialized research. Following that, Luke was given an opportunity to improve procedures for collecting data from Campbell Scientific CR-dataloggers and various types of levellogers, not using traditional laptops (not really suitable for daily field tasks), but using PDA tools. During this researching, testing, troubleshooting and synchronizing various pieces of equipment, Luke gained impressive understanding of this cutting edge electronics and also prepared several high quality manuals that will help future students (and interested public) to master these issues. Sun Hee, currently getting her degree in John's Hopkins University in Baltimore, came for her program in spring 2007 and made a huge difference in lives of many people she never actually met. It is because Sunny participated in a development project that III has been running in cooperation with Rotary International. Sunny helped to prepare various materials that were presented in 2007 Rotary International 98th Annual Convention in Salt Lake City, worked on improving Engineering manual for drinking water delivery systems, automated video presentations and other marketing materials, translated texts into several languages and much more. Her focused effort really helped to improve living standards of many people in the developing world, who are suffering from poverty and limited water/sanitation resources. Sunny during a lunch break in a "jungle" park right next to III office. David handled during his program assignments mostly related to Pelaez ranch project. He helped with installation of water sampler components, did a lot of troubleshooting on mechanical and electronic parts of the equipment and joined water sampling field crew anytime needed. He also updated many SOPs prepared by his fellow participants less skilled in electronics. David�s other major task was moving ahead with security system used for protecting LaBelle Nature Park. He helped with selection of the cameras and other equipment, installing and testing softwares employed in the system and actual installation in the park. Inom initially received 4 months training in Tajikistan, where III has its branch office. There he realized his potential, but also the fact that to learn more about the world, he has to leave his home country and go abroad. After that decision was made, he came for 5 months program to III office in Florida. Here he rapidly improved his English that was initially slowing him down and once English stopped to be his main limiting factor, he could apply his architectural and designing skills on various technical assignments, for example in designing boardwalks or Environmental Education Center for LaBelle Nature Park. As a Tajik citizen, he also helped to move forward with III�s development project on improving water situation in his home country. Inom visiting one of the near by ranches. 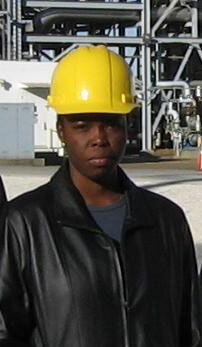 Tosan during an educational tour to coal-fired power plant in US. Tosan was responsible during her 6 months program for handling Pelaez ranch tasks and daily chores related to that project. She was responsible for collecting surface and ground water samples, their preparation and analysis in a laboratory, preparing chains of custody forms, programming autosamplers, replacing sampler bottles and many other parts of the data collection process. 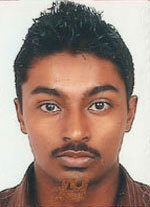 Tosan handled all aspects of the research project with dignity and a professional attitude. 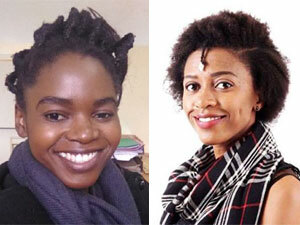 She also helped train and supervise the more junior students, gaining management experience. 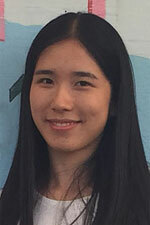 Upon completion of her program with SDS/III, Tosan was offered a research assistant position with University of Florida in Gainesville, where she will continue to develop her skills and talents in the Agricultural and Biological Engineering Department. Viacheslav has been closely involved in initial development of Carbon Capture project, which is aimed at promoting advanced technologies for reducing CO2 emissions and their contributions to global warming. He helped with scientific presentations preparation, developed parts of the project website and drafted several proposals. As an engineer with IT skills, he also developed many AutoCAD drawings for several local engineering and environmental projects. 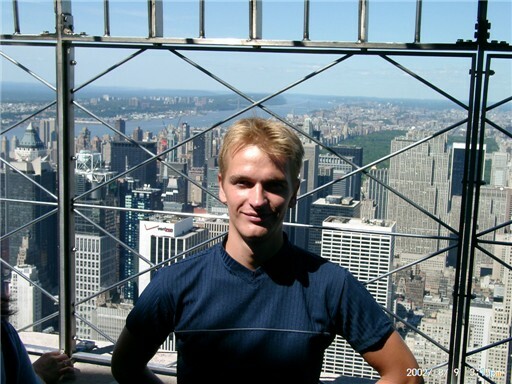 Viacheslav dreams about building a strong cooperation bridge between Russia and US. Daniel in the office testing telemetry stations connectivity. Daniel contributed to field research project at Pelaez ranch with unique leadership and persistence. At first, as a chemical engineer, he was responsible for collecting, preparing and analyzing surface and subsurface water samples. But with time, he also undertook the challenge and assumed the position of a team leader with responsibility for maintaining all mechanical and electrical components of the programmable water samplers, maintaining installed telemetry stations and preparing various SOP's for future students to use. Daniel handled his duties that encompassed several specializations each and every day. He measured up very well against the demanding expectations of Dr. Capece. 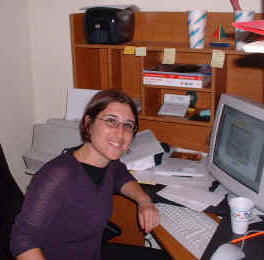 Getnet was one of the most hardworking students ever hosted at the SDS/III office. He helped with project management for non-profit organizations Rotary International, Caloosahatchee River Citizens Association and Alpha Epsilon Lambda. Getnet produced two grant proposals for Village Water Supply projects in Central Asia and was invited to participate in the Rotary International Water Summit in Houston, Texas. He also created several high-quality exhibits and slide presentations describing regional projects. Getnet demonstrated that with serious focus, it is possible to accomplish much in just a three-months program. 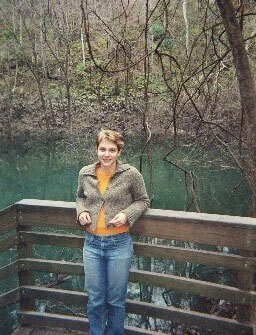 Anneline in the Big Cypress Swamp. Anneline came to our program in Florida actually twice - her contributions during her first three-month particiaption proved that she was very resourceful and focused. 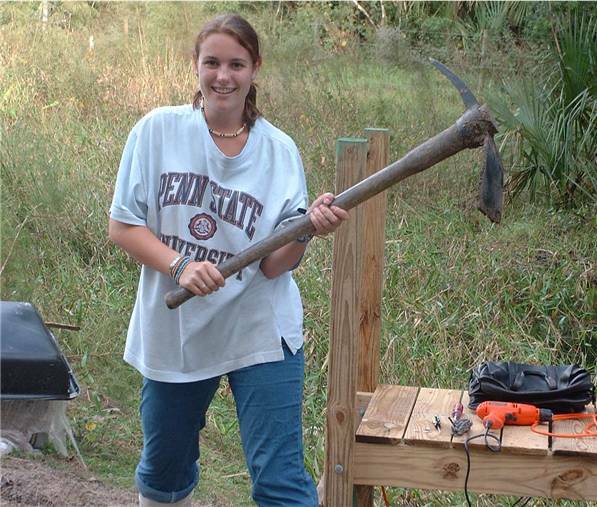 Her skills in soil and fluid mechanics and hydraulic modeling were successfully applied to the Caloosahatchee river oxbow restoration projects. After completing her first SDS/III program, Anneline returned back home to France, but decided to join our group once again later on, recognizing new opportunities that appeared with our high-quality program. During her second particiaption she was managing another oxbow restoration project and performing related flow and sediment transport modeling. 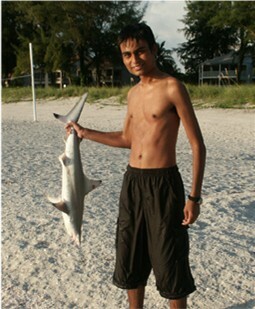 Ahmed came to Florida from Canada. 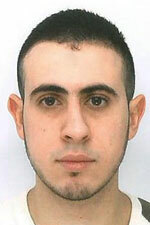 Ahmed demonstrated outstanding talents in both technical and administrative areas. He was responsible for various field data collection and office research projects. One moment he might be trouble-shooting software and telemetry/control systems, the next minute he was researching waste management systems and drafting new county ordinances for adoption by the local governing boards. Ahmed did not hesitate to take on any challenge. Ahmed's exceptional skill and professionalism naturally caused the other his peers to look to him for direction and guidance. During his six month program, he was an effective communicator and collaborator. after the visit of Hurricane Wilma. 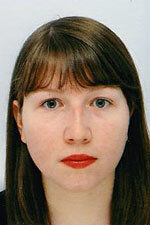 Cindy studies media and journalism at the University of Sunderland, England. 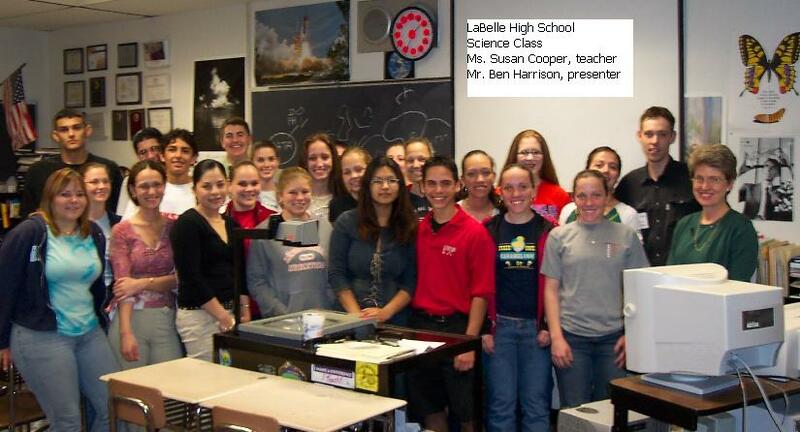 In Florida she got experienced community journalism among our group of primarily engineers and scientists. In addition to writing several economics and science articles for local newspapers, Cindy was assigned to grant applications writing, public relations, and non-profit organization management (e.g. 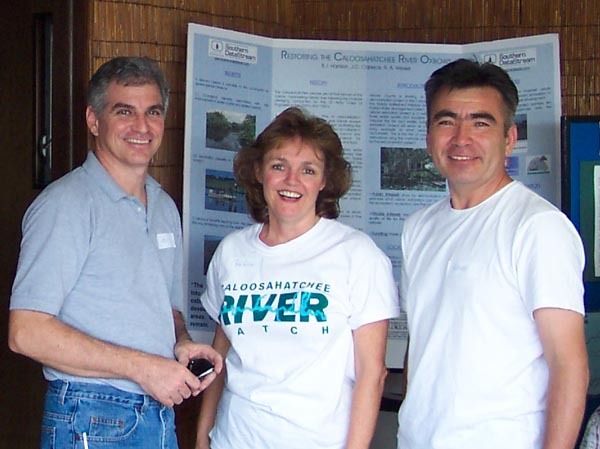 Caloosahatchee River Citizens Association and Alpha Epsilon Lambda). Cindy assisted in preparing and delivering presentations on river restoration projects to hundreds of school children and presenting the CentralAsiaWater.org project to Rotary clubs throughout Florida. She was the group's events organizer. Cindy also demonstrated a high degree of responsibility in getting to presentations scheduled at very challenging times and at very distant locations. 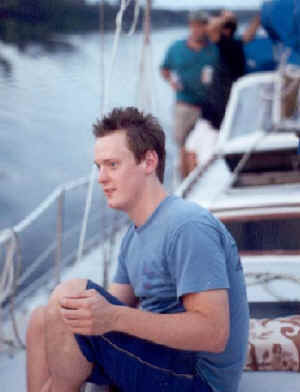 Lars applied his artistic and technical talents in producing, editing, and distributing the Oxbow 24 Opening Ceremony video. Lars proved himself to be a uniquely dedicated video journalist. He burned the midnight oil in producing a documentary about the problems of the Caloosahatchee River, titled "Endangered" for his university degree project. 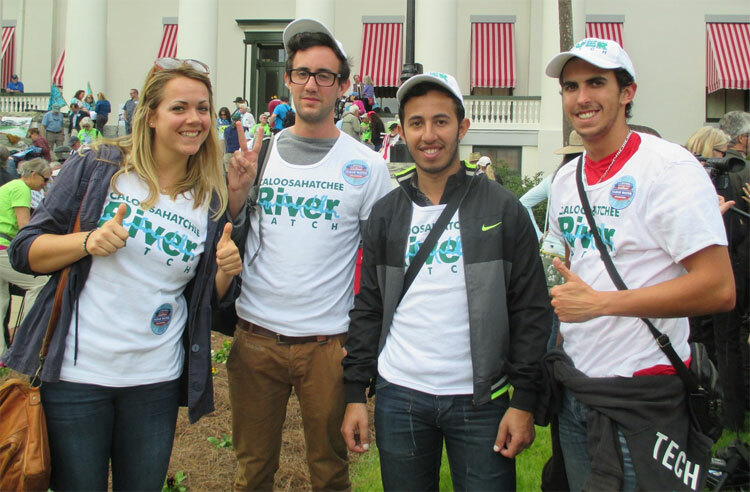 Lars took a sincere interest in learning about and addressing the important water and environmental issues of South Florida. He created various video clips, supporting the nomination of the Caloosahatchee River to America's Ten Most Endangered Rivers of 2006. 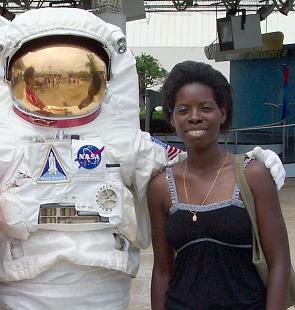 Oumnia during a recreation trip to Miami. 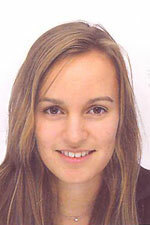 Oumnia came from France, where she attended her first year Master's degree at Belfort University. 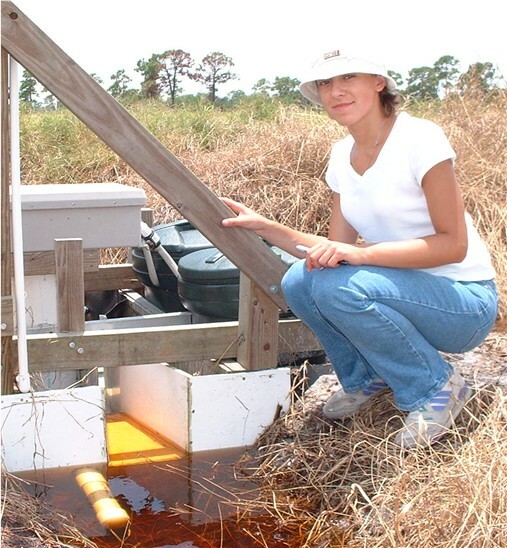 In her three months of summer program, as the data specialist she was assigned to the Pelaez and Queen Bee projects and focused her activities on field data collection (water sampling and hydrologic measurements) and maintenance of the automatic water samplers. She studied water sampler hardware to understand the instruments that create the overall data acquisition system and also suggested several electrical design improvements. 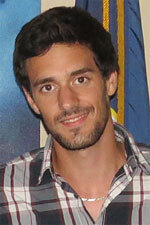 Ricardo came to III from an Aerospace University in Sao Paulo. While somewhat out of his element, he did an excellent job at his river oxbow restoration project assignment. 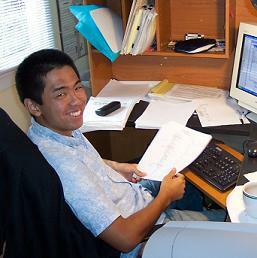 During his five-month participation, Ricardo prepared RFB (Request for Bids) and RFQ (Requests for Qualifications) documents; researched and tested geofabrics; collected hydrological and water quality field data, performed land/water surveys, and designed much of the channel dredging project. 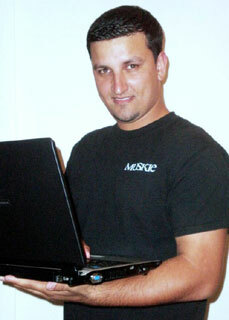 Ricardo added his unique contributions to an innovative design for shoreline projection structures. 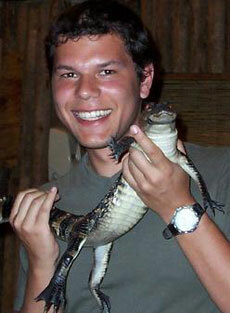 Ricardo with a baby gator in Everglades. 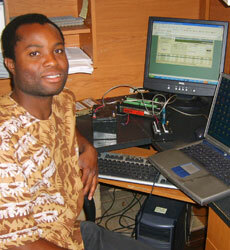 Regis with his high-tech skills became invaluable to III projects during his four-month program participation. He was responsible for installation and maintenance of field instrumentation, sensors, data-loggers, and various other telemetry system components. 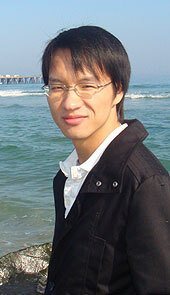 He also integrated the research data into a comprehensive databases for statistical analysis. He served as team leader for field data collection tasks, while also providing computer technical support to the office staff. 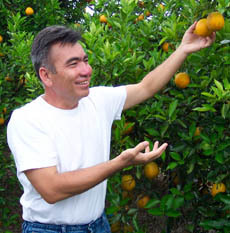 Vladimir developed and delivered presentations to Rotary clubs throughout Florida promoting an international service project. His dedicated attitude to the assigned tasks made him the most valuable member of the team in the summer of 2005 and has propelled the Village Water Supply project into a national-level program that has, so far, raised funds to provide clean water systems for more than 25 remote villages in Tajikistan, Central Asia. 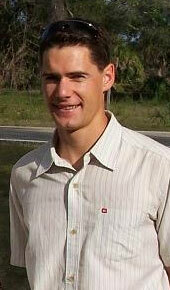 Vladimir earned his Master Degree from Copenhagen Business School in Denmark on International Marketing and Management. 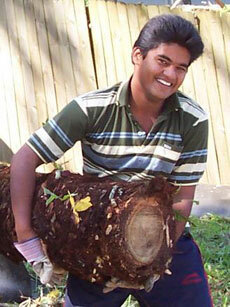 After completing his program, he went to Canada to continue his education. 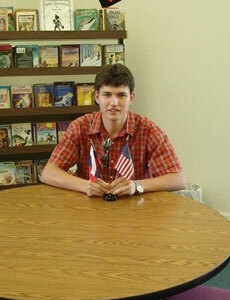 Vladimir at one of his Rotary Club presentations. 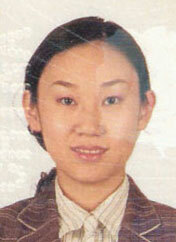 Xinyan came for a four-month program in the summer of 2005. His focus was tax and managerial accounting but he also helped other participants with theirs projects, including creation of an asset tracking database for Hendry County. He collected GPS and GIS-based data on road and bridge infrastructure. His primary accomplishments were to set up a series of financial procedures and tax returns for our program. Henrik was our program participant for 4 months in 2005. He was the instrumentation specialist responsible for setting up and maintaining a system of remote water samplers, water level and flow sensors, weather measurements stations, and telemetry hardware linked to internet databases. 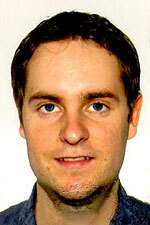 Henrik's quiet, steady determination and professionalism set the ideal example for the group of program participants. Henrik became the senior project participant for the second half of his program and led his team during this time. on a canoe trip down Fisheating Creek. 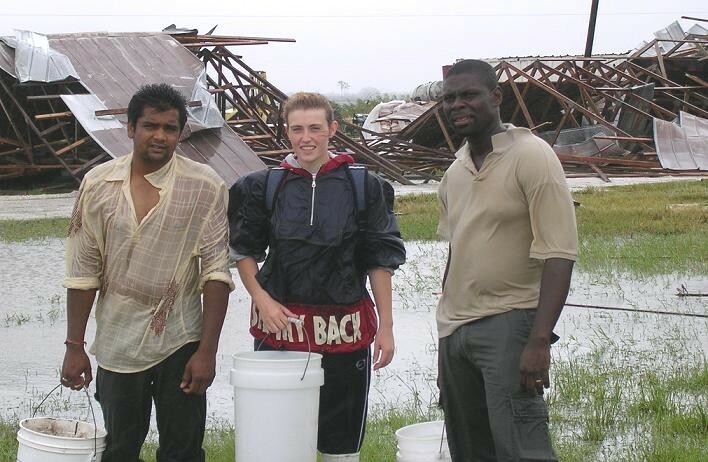 after one of the Florida hurricanes of 2004. Aurelie was in our program for 6 months, starting in the summer of 2004, the year when 4 hurricanes passed through the state. 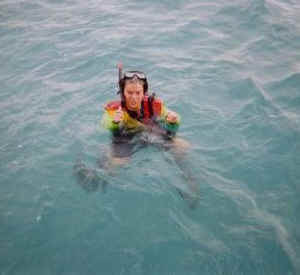 She and other III students would spring in to action immediately on the heels of the storms, traveling to the flooded sites to measure the water flow and nutrients quality. 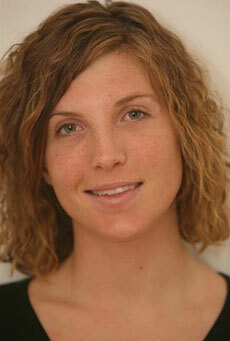 In her last two months, Aurelie assumed primary responsibility for the sampling and instrumentation projects. As part of her duties she would organize the team of 8 program participants for the day-long field site data collection trips. Masahiro came for a brief progarn during his summer break from attending University of California - Irvine. His primary responsibility was to manage the office finances including receipts, disbursements, expense accounting, and preparation of annual corporate tax returns. He studied and mastered the QuickBooks Pro accounting software as his primary a digital tool. 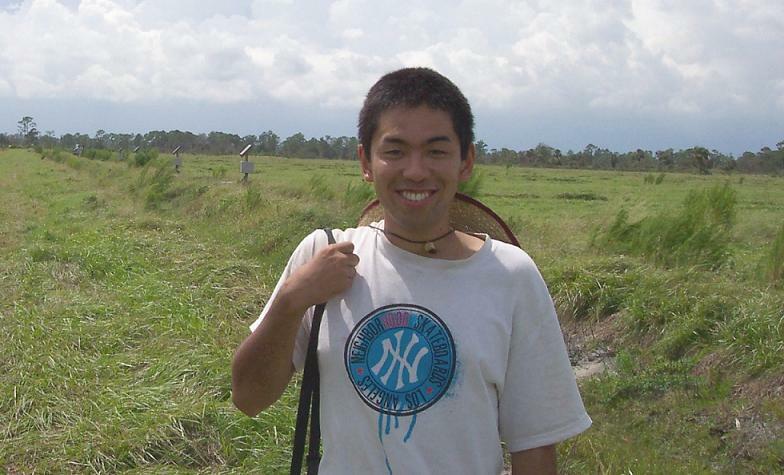 Masahiro would also assist other program participants as a member of their field data collection team. the Quickbooks Pro software system. as a member of the board of directors. Daniel stayed in our program for 6 months...which must have seemed like at least twice that to Daniel, given the double-duty he did as both a guest lecturer in the local schools and as the co-author of the UzbekWater.net grant proposal. Having an undergraduate degree in American Studies and a graduate degree in Democracy Studies ideally prepared Daniel to design and write components of the new project proposal. Upon completion of the document, Daniel traveled to Washington, DC and New York City with Dr. Abror Gadaev to present the proposal to USAID, World Bank, United Nations, and various foundations. 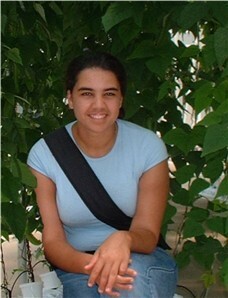 For three months during the summer of 2004, Eliane was engaged in instrumentation and data collection activities for the Kirton Ranch project. She learned how to maintain and repair the circuits of the sampler control unit. She also assisted with water sample collection and processing, including SOP development, chain of custody creation, and general data records management. samples from the ranch pollutions studies. Weerachai at the river house. Weerachai spent in our program five months, during which he methodically and quietly developed his understanding of III projects and procedures. By the last month of his program participation, Weerachai became the internal coordinator for all other program participants, taking responsibility and leadership in preparing and conducting most field experiment project tasks and trips. As a mechanical engineer he also developed designs and prototypes for new water sampler components. Abror came to III in an effort to make the most of his time in the USA after delivering a technical presentation at the American Water Resources Association. He spent 4 months developing a project proposal for his university and a web page, www.UzbekWater.Net, documenting water projects in Central Asia, Uzbekistan and the Aral Sea region. Upon returning to his university, Professor Abror Gadaev was assigned to develop a new department and area of study focusing on engineering training for disaster response, natural or otherwise. He continues to remain involved with the program in pursuit of educational opportunities for students from his nation. 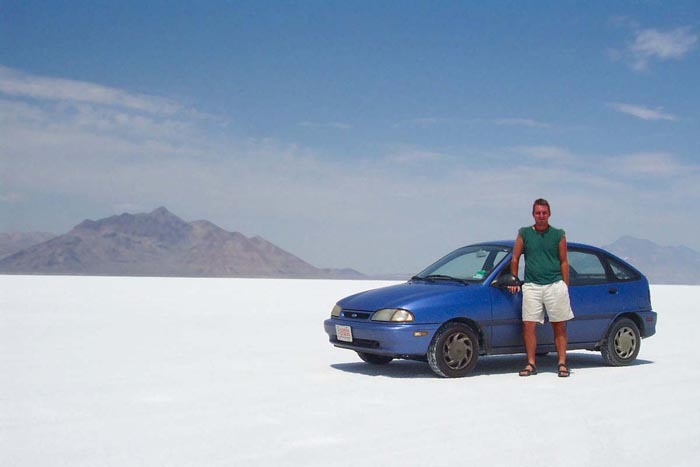 Mike crossing the USA on one of his annual road trips. Mike contributed more to SDS/III projects than any other of the 125 program participants before him. During his 17-months stay, he was a data analysis and report writing machine, while also helping with field programs whenever needed. By the time of his departure he had produced several project final reports and many more progress and data reports. He was also the glue that held the group together, welcoming all new arrivals and helping out whenever they need assistance with their projects. 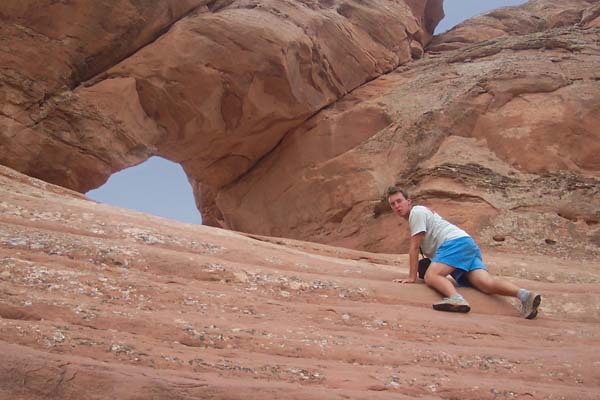 Mike also has a talent for photography and as a geographer, he made it his mission to travel to as many corners of the USA as possible during his breaks. Upon completion of his program, Mike was elected as a director of Intelligentsia International, Inc. and is serving as an international programs coordinator traveling to water development projects in Europe and Asia. Benjamin created and earned for himself one of the most diverse programs ever accomplished at SDS/III. 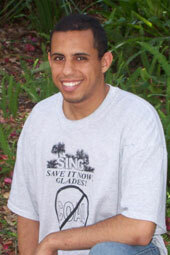 His primary focus was planning for the first-ever Caloosahatchee River oxbow restoration project, but during his 6-month program he also gained experience in water quality sampling standard operating procedures, organized field trips, delivered lectures to civic groups and school classes, served as a project development liaison with state government agencies, authored technical reports for research projects, analyzed ground water dynamics data sets and developed a new project scopes. Upon returning to Australia from our program, he quickly found employment with a world-class company that develops geographic pathways and social impact plans for high speed rail systems throughout the world. Benjamin exploring his oxbow restoration site. Sanjay testing new controllers and software. 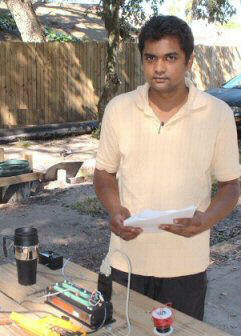 Sanjay is another of the exceptionally talented and hardworking engineers that SDS/III has been fortunate to host. 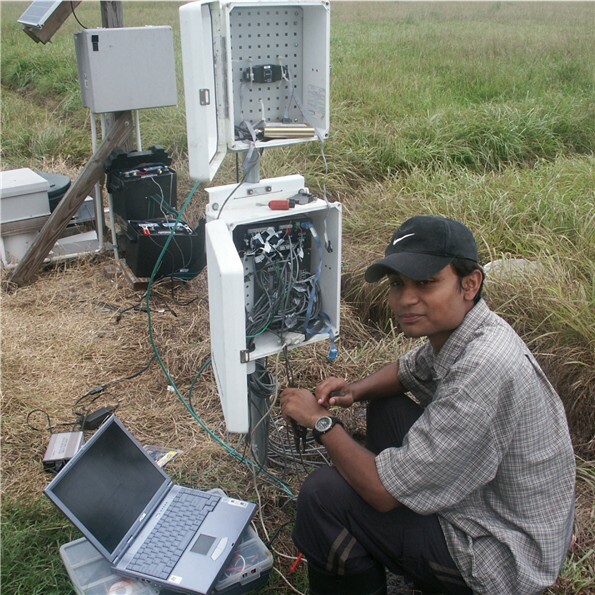 As an electrical engineer from Illinois Institute of Technology, Sanjay's contributions during his first 4-month and his second 6-month program participation were extremely critical to the field instrumentation and control systems of the automatic water samplers. He is an engineer who does it all: performs design calculations, builds and tests prototypes, fabricates the production units, and then personally installs the final systems... with enthusiasm. 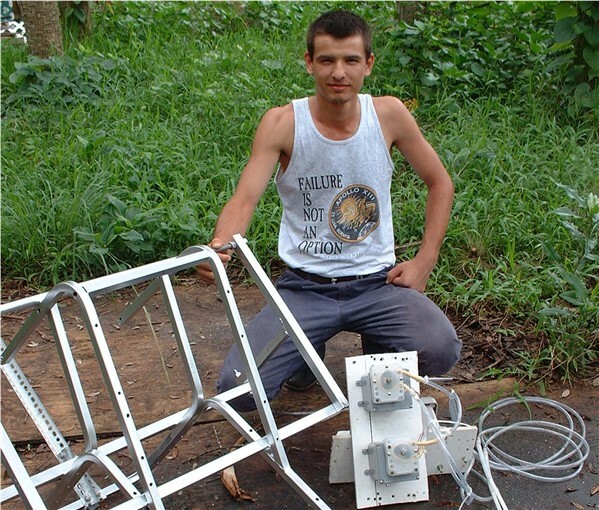 Together with other skilled participant, including Jurgen from Germany, they designed and built water samplers placed on farms near the Kissimmee River and Lake Okeechobee. Sanjay's technical skills, demonstrated positive attitude, high degree of focus, and absolute personal integrity makes him the type of team member that any company would be fortunate to hire. Upon graduation from Illinois Institute of Technology Sanjay was immediately offered a design and development position with Motorola. 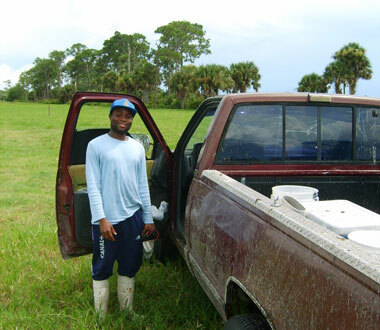 Moctar led a team of students in the task of preparing the final report to the Florida Department of Environmental Protection for the demonstration project at MacArthur Agro-ecology Research Center. This 300-page report documented results from the 3-year project to study the effects of cattle grazing on pasture lands runoff water quality. 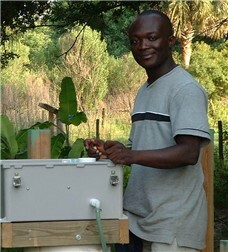 After completing his program at SDS/III, Moctar was hired to serve as the first water utility engineer for Hendry County. 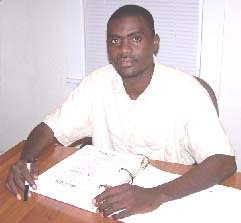 In addition to his responsibilities for designing water supply system for the community of Port LaBelle, Moctar provides engineering services for regional roads, bridges, and airport. Moctar earned his Master of Science from Utah State University Biological and Irrigation Engineering Department. Moctar reviewing his project report. Pennekamp State Park in the Florida Keys. Rustam is an engineer's engineer. His curiosity and thirst for new knowledge and skills proved endless. He embraced each new challenge as an opportunity to learn and do. Rustam was equally capable and energetic with mechanical design, CAD renderings, machine shop fabrication, field equipment maintenance, electronics circuit analysis and repair, power system maintenance, data acquisition systems and software, GPS technology, and water quality sampling. On each trip to the ranch experiment site, Rustam was the one person still in the field focused intensely on his tasks when everyone else (including Dr. Capece) was exhausted and ready to go home. After completing his undergraduate degree in Turkey, Rustam returned home to Tajikistan, where has started a new company, Silkroad Science and Engineering, as a joint venture with other former participants and Dr. Capece. Its first local project is described at www.OurWater.net/rotary. 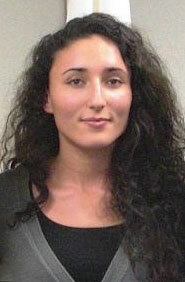 Loubna came to III not directly from Morocco but from France, where she attends Universite de Technologie de Belfort-Montebeliard. 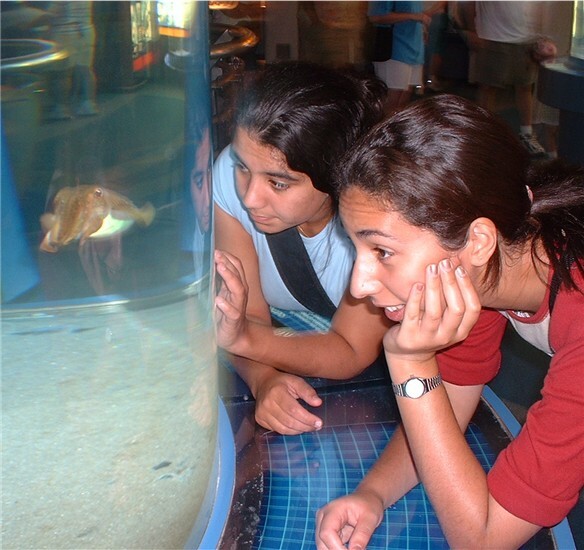 She came with her best friend and fellow engineering student Hanane for a 6-month program. 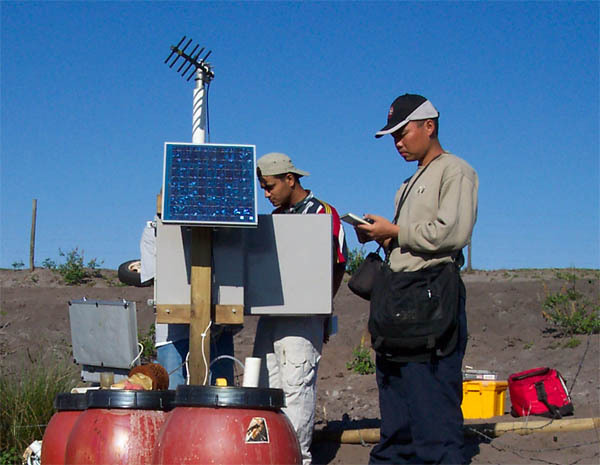 Together they met the challenges of the program, in which they focused on the power systems and control units of the 51 automatic water samplers deployed at Kirton Ranch. Loubna developed procedures for the maintenance and operations of the electrical systems and together with Hanane undertook many water sampling field trips. Tony calibrating sensors at Kirton Ranch. Versatility combined with high tech skills and a "can-do" attitude made Tony invaluable to III projects during his summer program. He installed instruments, programmed dataloggers, calibrated sensors, maintained telemetry systems and improved the online databases. 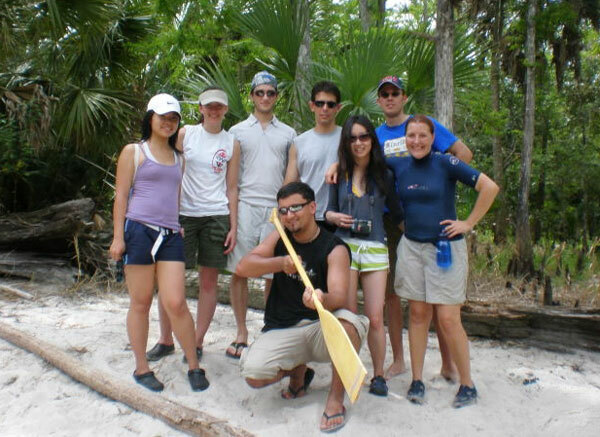 He also helped with other aspects of the field experiments: water sample collection, vegetation sampling, equipment maintenance, and anything else that needed doing. As a student from Southern Connecticut State University, Tony was the sole American within the group of 14 international program participants at III during the summer of 2003. He is the type of person that Americans like to think we are...or can become. After his 3-month taste of Florida, this Yankee decided to move south and transfer to Florida Gulf Coast University to complete his degree. Taking the summer off from studying at the University of Alabama in Huntsville, Jay developed skills in network and database administration at III for the summer of 2003. While Jay is Indian by heritage, he is truly an international citizen having grown up in Zambia. 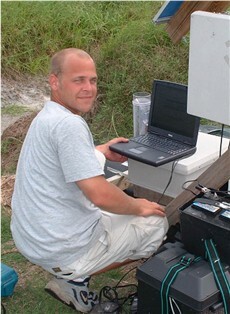 Jay managed network and domain security, maintained telemetry systems, set up MySQL databases and created some online graphics utilities that allow III scientists to monitor and visualize far-off experiment sites in near real time, allowing the scientists and technicians to focus on data analysis rather than time-consuming data processing. 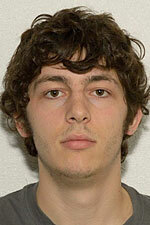 His professionalism and technical skills were far beyond those of your typical 21 year old undergraduate. Jay bringing in his dinner. Olha playing in the mud at Kirton Ranch. No assignment was too large for Olha. Olha arrived just when things started getting busy for the Kirton Ranch project. With the summer rains came the task of collecting surface and ground water samples and preparing them for delivery to the University of Florida lab. Olha along with other students refined and expanded the water quality sampling standard operating procedures (SOP). During her 3-month program she also prepared project progress and data reports for the South Florida Water Management District. Olha came to III from University of Idaho, where she is pursuing a graduate degree in environmental science as a Freedom Support Act Muskie Fellow. During his brief 2-month program, Paul assisted with the treatment implementation, field activities, and sampler maintenance of the experiments at the Kirton Ranch and Chandler Ranch. 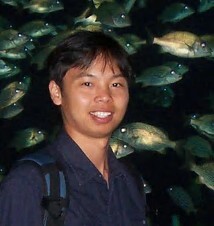 His serious attitude to the program made him the most valuable member of the research team in the spring of 2003. Paul is a true team player, never hesitant to take the major responsibilities alongside Dr. Capece to make the projects succeed. Upon completing his program Paul returned to Denmark to complete his degree program. Paul checking the sampler at Chandler ranch. 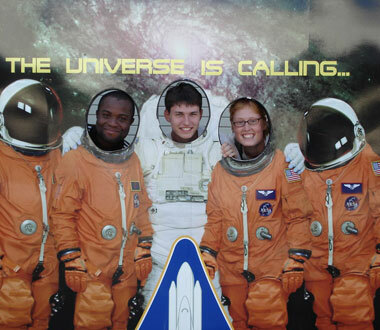 Michela on a trip to NASA. 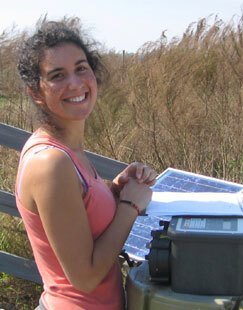 During her 14-month program, Michela documented the public interest issues and technical debates behind the environmental projects pursued by Southern DataStream. She researched and wrote newspaper and magazine articles as part of the Watershed Council series. 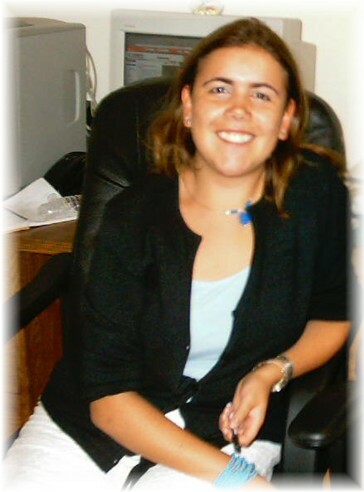 Michela also dealt with projects for various non-profit organizations: AEL, AWRA, and CRCA. 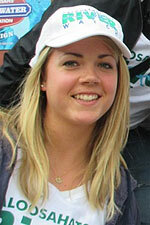 For the final months of her program she served as the participants' coordinator. Michela became a valued part of the community and was granted membership in the LaBelle chapter of Rotary International. Upon completion of her program she went on to employment in nearby Ft. Myers. 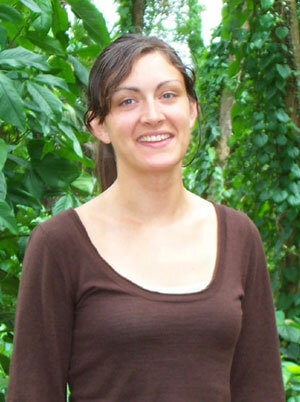 During her unprecedented program participation, Jurate served as the data specialist for the MAERC project. Jurate set the standard of patience, persistence and attention to detail by which all other participants are now measured. 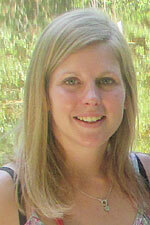 She is now employed in LaBelle as the GIS specialist for the Hendry County Engineer (Road and Bridge Department). Her program was extended to 18 months after she demonstrated incredible dedication to the MAERC research project during her initial program. Jurate at the Chandler ranch project site. Stefan on a cruise through the river oxbows. Stefan was a participant of few words but many lines of code. 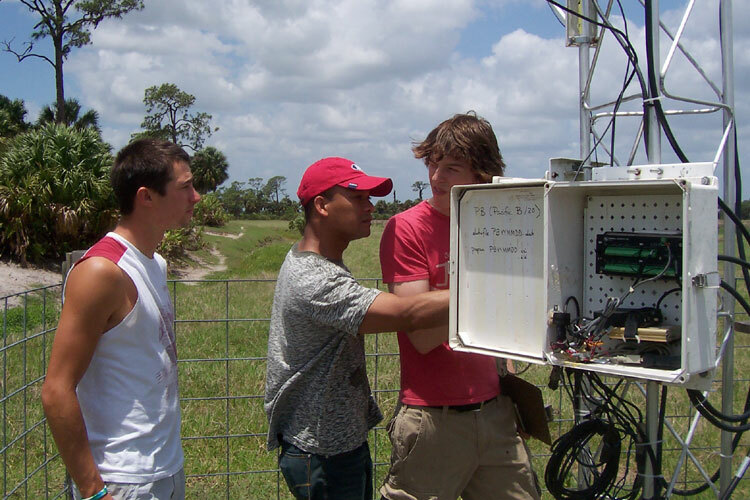 During his six months at III, Stefan developed and installed the Kirton Ranch telemetry system and created the associated online database. This was a key contribution to the project that allows near real-time visualization of the data collection systems for the project weather stations, sensors, and 51 automated water samplers. Upon completing his degree, Stefan obtained US permanent residency and returned to LaBelle to continue his professional career. Before finishing the last year of he graduate degree at Oklahoma State University, Novry undertook a summer experience at III. 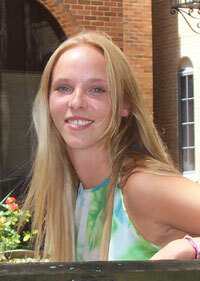 She managed program marketing and application processing, including the development of database resources. Novry also conducted legal research to create agreement language and documents. After completing her degree Novry returned to LaBelle, where she got employed by the Country Home and Land company. 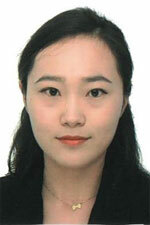 She analyzes business operations and designs and develops technological support systems there. Novry at Tyrell Gardens in LaBelle. 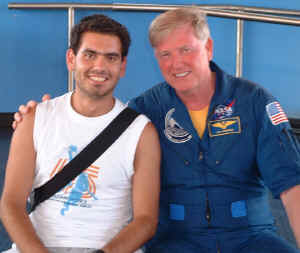 Ramy with Astronaut Jon McBride at NASA. During his 3-month program participation, Ramy focused on the maintenance and redesign of the III automatic water samplers. He conducted maintenance and equipment installation tasks at the research project site (Kirton Ranch). Ramy also studied the use of the CR10 dataloggers and developed software for integrating various electronic sensors into hydrological monitoring stations. 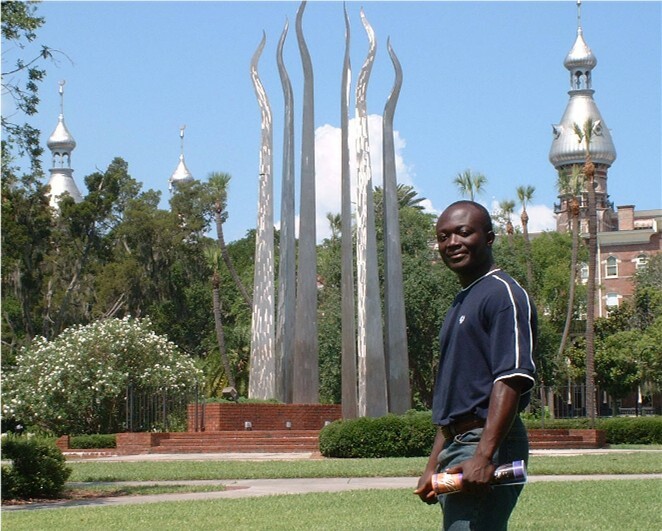 His last assignment was to initiate testing of the III prototype samplers at the University of Florida Department of Agricultural Engineering laboratories in Gainesville. During her 3-month program Catalina made important contributions to III projects, while she grew in her professional skills and confidence. 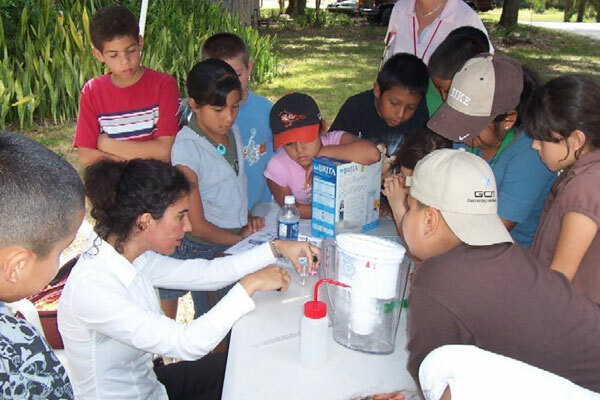 Catalina's primary project was to learn about and assist with water quality sampling procedures (SOPs) for Kirton Ranch. 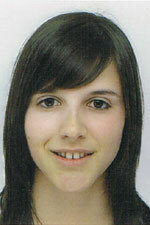 She accomplished this cooperating in parnership with another environmental engineering student, Elif Songun from Turkey. These formal procedures are required for all government-funded research projects. In addition to developing the methods, Catalina selected and purchased all the necessary sampling and measurement equipment. 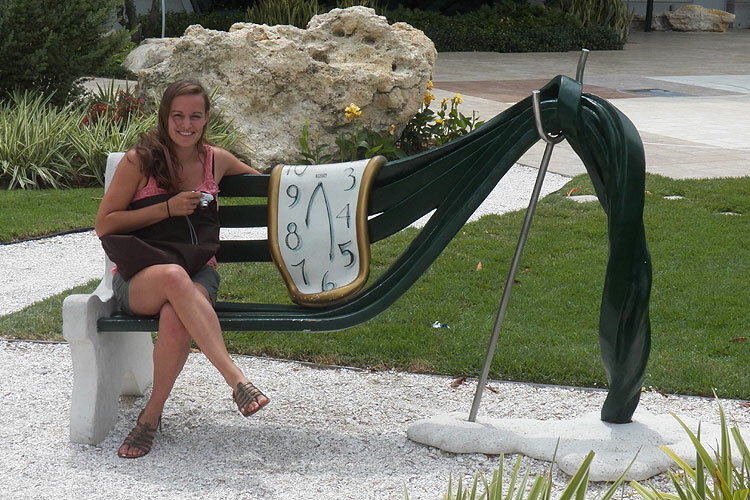 Upon completion of her program, Catalina continued with languages studies in Miami and then returned to Colombia, where she presented her project results and received her engineering degree. 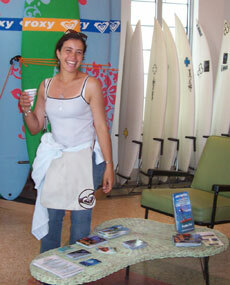 Catalina Barreneche at the office. Yaw Sun joined our program for 3 months, but it probably seemed much longer than that to him, given all the challenges he took on. He contributed in high-class manner to the Kirton Ranch project - along with a team of few others Yaw Sun helped install the 51 water samplers and monitoring wells. 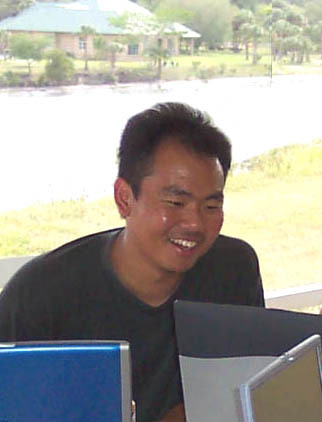 In addition to his field activities, Yaw Sun developed a report comparing mathematical methods for estimating evapotranspiration from weather parameters as part of the FHANTM hydrological modeling project. He also studied the XP-SWMM hydraulic model in preparation for a new engineering design study. 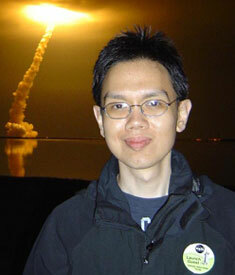 Yaw Sun was perhaps the most devoted student ever hosted by SDS/III. Yaw Sun's unique ability to excel at both his field activities and his hydrological analysis project proved that this young engineer will let no obstacle stand in the way of his professional goals. Aigba set the record for departing with more baggage than any other our student. But she had good reason for the extra boxes and suitcases...she had to pack all the necessary supplies for her wedding scheduled only weeks after her return home. During her 3-month program, Aigba managed III finances and trained other program participants as well. She learned how to use standard U.S. small business accounting software and how to prepare federal and state tax forms for non-profit and for-profit corporations. Aigba also took time to become involved in the community by participating in the local church groups. 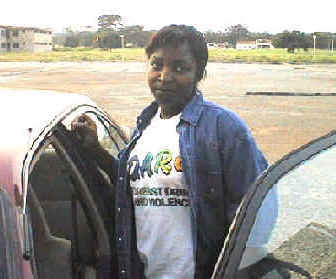 Aigba at her campus in Ghana. 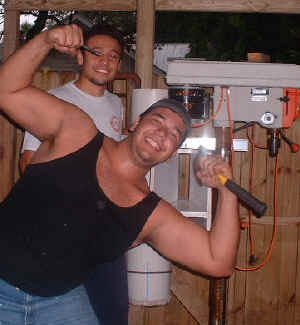 Carlos in the III workshop with Volkan. Carlos accomplished much during his 12 months with III. He arrived with marginal English skills but departed with an excellent command of the language. 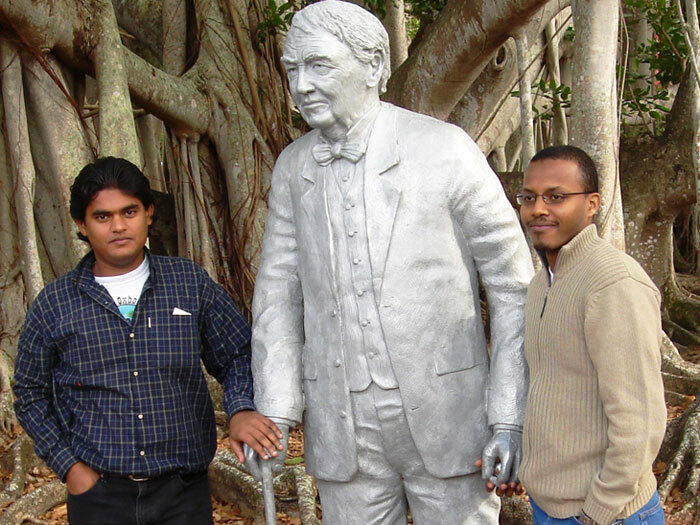 Carlos came to Florida with his cousin Edward and his friend Nicolai. Together they designed and built the electronic control units for the III water samplers and also assembled the flume systems prior to their installation at the Kirton Ranch water quality project site. He also developed a preliminary conceptual design for the hydrological instrumentation telemetry system. 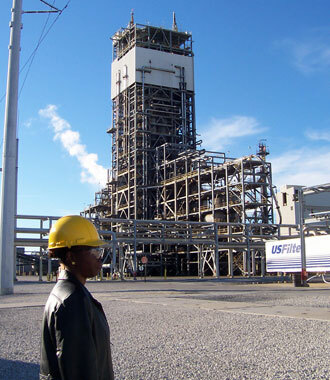 Carlos completed other engineering projects, including development of a sugarcane freeze prediction and mapping system for the U.S. Sugar Corporation. 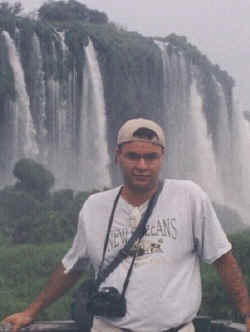 As part of this effort, Carlos trained himself in the operation of the ArcView GIS software system. His last project was the creation of a road and bridge assets valuation and management system for the regional governmental engineering office. Nick's addition to the group of his peers represented an attempt to diversify the III emphasis on engineers by promoting attention to sociological and political aspects of the program. Nick developed a seminar series in which all participants presented both the technical and social aspects of their practical experience. 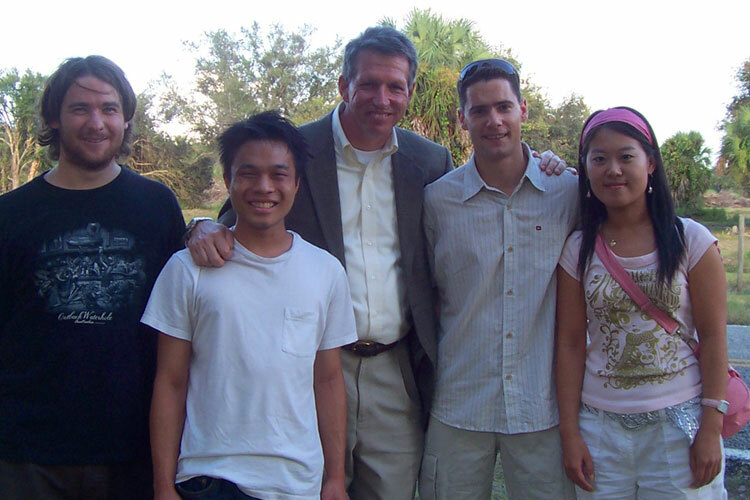 His personal seminar, coincidentally scheduled for September 11, 2001 provided an opportunity for the group of 15 III students to gather and discuss events of the day and attempt to make sense of this terrible event in the U.S. and international history. Nick's technical contribution to III was the development and submission of a project and grant proposal for a mentorship program between local school students and the III program participants. Nick firmly believes that his experience with III opened up new professional opportunities to him upon his return home. Nick enjoying a weekend boat trip on the Caloosahatchee River. at hand at her desk. During her 3-month program, Marlene Canetti produced the C-11653 project official work plan and DEP quality assurance plan. Both are standard government documents required of all environmental research projects in Florida. This assignment required that she learns all aspects of the research project and integrate those plans with existing regulations of the Florida Department of Environmental Protection and the South Florida Water Management District. Thiago is one of those people who can't help but smile and thus turn any situation into a positive experience. Such an unflappable positive attitude is particularly helpful when facing the challenge to design and construct 55 hydrological measurement flumes and samplers. 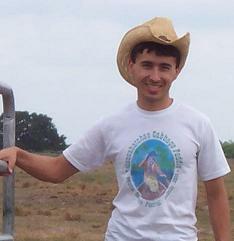 Together with Stephane from Switzerland, Thiago started the process which eventually led to the establishment of the nationally-unique hydrological research facility at Kirton Ranch. 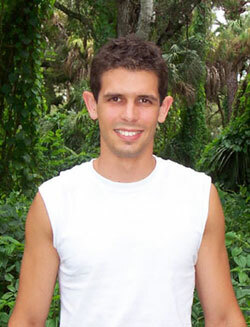 Thiago's experience also demonstrated and further developed his unique talent for creating teaching tools and instructional materials as exemplified by his attention to detailed process descriptions. Thiago (right) with another extraordinaire student, Stefan from Switzerland. Andrea at III program former particiants reunion in Brazil. For 12 months Andrea was handling a variety of hydraulic assignments. 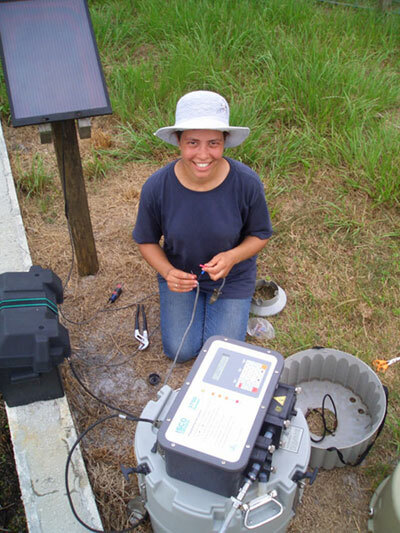 Initially Andrea restored a set of hydrological monitoring stations at the MacArthur Agroecology Research Center. He replaced and calibrated all the proximity and pump sensors. Next, Andrea and another student, Olli Neumann, developed the core hydraulic design concept for the III automatic water samplers. 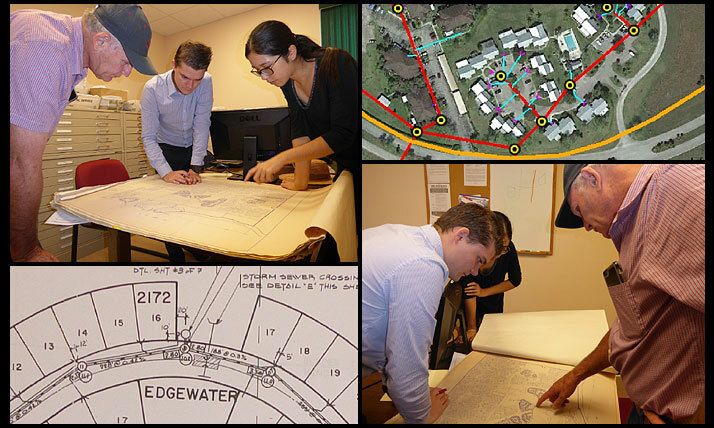 Andrea was then given a very challenging assignment, to develop a hydraulics model of the stormwater runoff in the City of Cape Coral, known as the American Venice because of its extensive network of canals. This project, conducted in cooperation using the XP-SWMM model, resulted in Andrea being offered a professional-level permanent job at Boyle Engineering Corporation, another partner in the Cape Coral project. 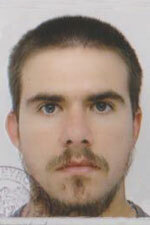 However, Andrea was determined to build his career back home. Andrea is now gainfully employed as a hydraulic modeling engineer in Italy...except when he is traveling throughout the world visiting some of his former program colleagues and friends from his days at III. Isaac is the perfect example of determination overcoming all. 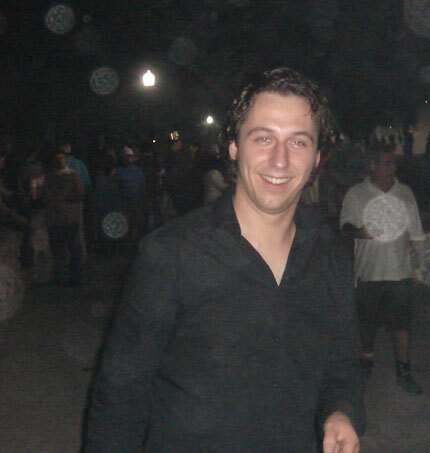 When posed with a formidable assignment to develop graphical applications for the Palm OS platform, Isaac focused like a laser beam on acquiring the specific skills required to meet the project goals. 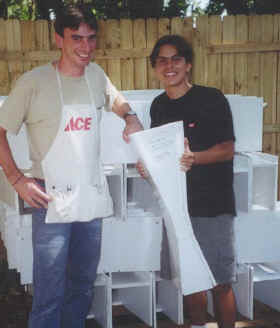 Isaac was based in Gainesville for much of his program where he cooperated with another student, Ronald Hellriegel from Germany. 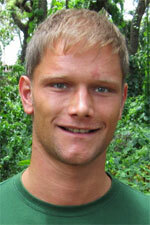 Upon completing his program, Isaac returned to Denmark to complete his Masters degree. He then returned to Florida in 2004 for his second program, this time as an IT manager for Southern DataStream and as a GIS analyst for the Hendry County Engineering office. Isaac...ready to take on the world. 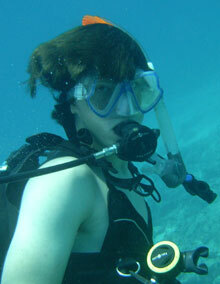 Claudia snorkeling in the Florida Keys. 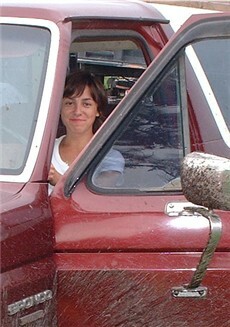 Claudia served as an engineer for six months. She is one the most exceptional young people ever hosted by III. An incredibly dedicated, meticulous engineer and researcher, Claudia also was the perfect housemate to the others...a great cook and always seeking travel and adventure. Claudia's first assignment was to develop the literature review and work plan for the C-11653 project for the South Florida Water Management District. This assignment required that she spend a month at the University of Florida in Gainesville so as to have access to their library resources. Upon returning to LaBelle and completing the project plans, Claudia then began undertaking on the Cape Coral XP-SWMM model assignment. She cooperated with Andrea on this effort until her departure. Someone had to be the first participant and it was Catherine. 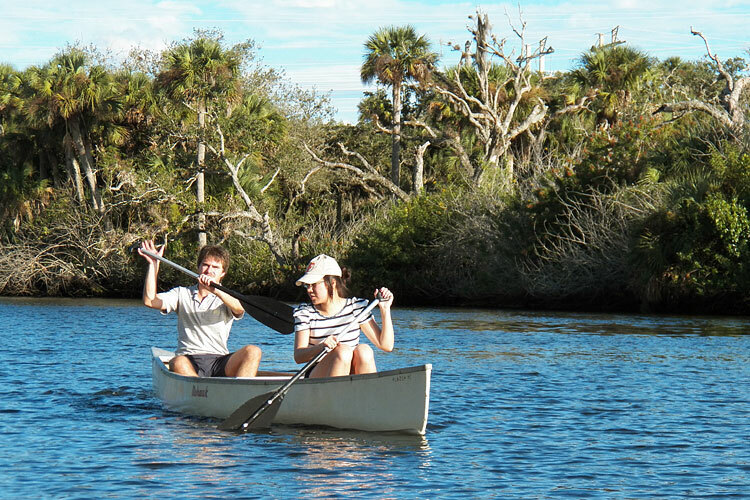 During her 8-month program, Catherine produced a video report documenting the UF-III project at Buck Island Ranch for the Florida Department of Environmental Protection. 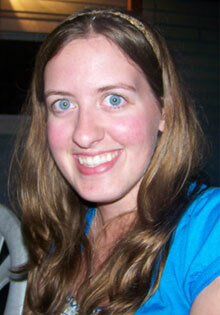 She handled a variety of other projects including the creation of a web page for the CYDA school in Clewiston. 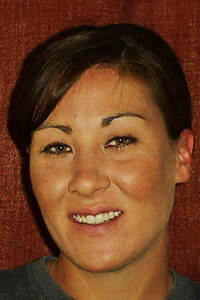 After completing her program, she was hired to become a certified teacher for the Hendry County School District. She returned to England after marrying another former III program participant. In October, 2003, the couple had a son. The new family lives in London now.